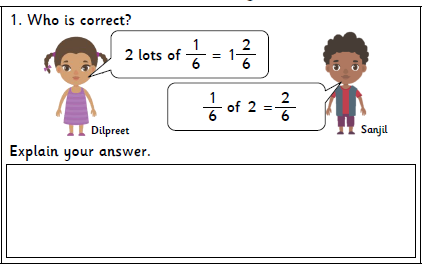 WK 27: We have begun to recap on multiplication and division. 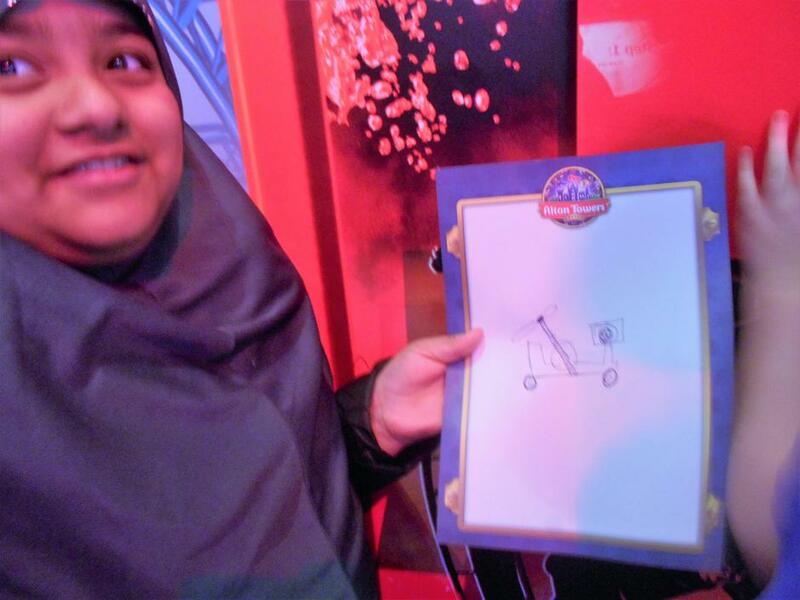 Our first task was to draw diagrams and use concrete apparatus to show our understanding. We were able to plan our lessons due to gaps in our learning. Science: This week we have investigated which method was best to separate different mixtures. We chose whether to evaporate, seive, filter or use a magnet to separate them. 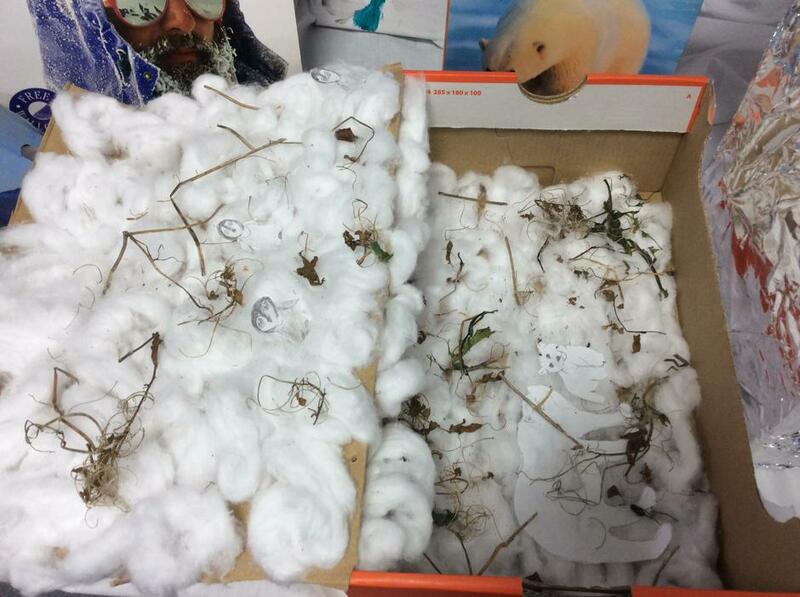 WK 26: We have begun to research and explore how Inuit's have adapted to survive in their environment. English: This week we have been using figurative language to describe a setting. We focussed on using similes, metaphors, personification and attempting to us a hyperbole. Science: This week we have investigated to see whether the amount of time we stir a material will affect how long it takes to dissolve. 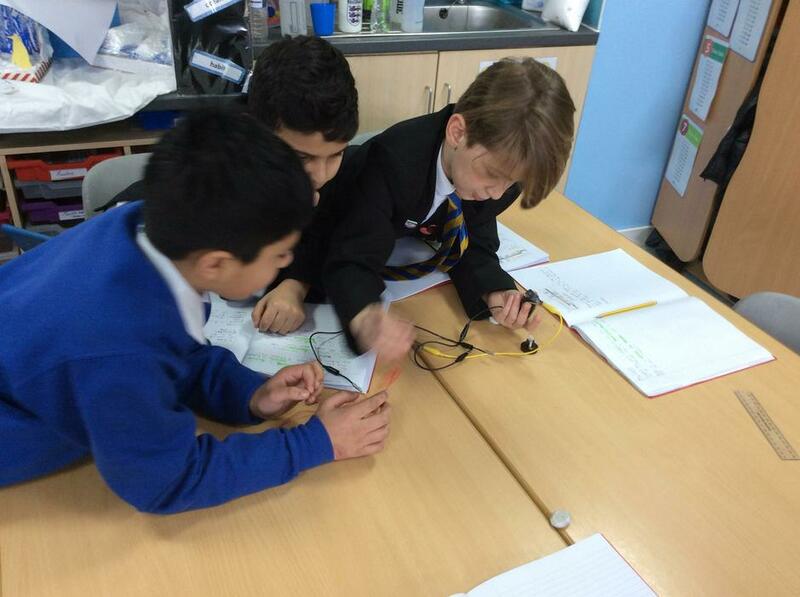 WK 25: This week in science, we investigated materials to see which were electrical insulators or conductors. In English, this week, we have been acting out sentences to see how effective they are then uplevelling them. It really improved our writing. 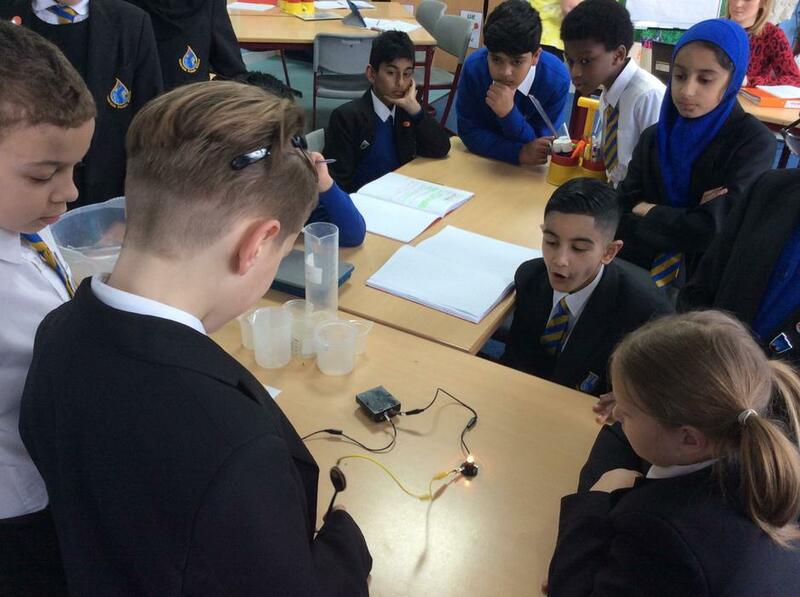 WK 24: Science week! Today we set up an experiment to find out where in the room would be best for the water to evaporate the quickest and separate from the salt. English: To finish our poetry genre , we performed our own poems through the Ipad onto a keynote presentation. It was amazing to hear ourselves and to be able to bring our poetry to life. WK 23: What an amazing day we've had for world book day. We dressed as different people in a school because we have been studying poems from the book "We heard it in the playground" by Allan Ahlberg. We had school rebels, nerds, art teachers and professors enter the classroom, it was a really great day. In science this week we have tested various materials and discovered their properties. We made a keynote presentation of our findings. WK 22: We have really enjoyed performing our assembly this week. We've had such fun reciting the numerous poems and making everyone laugh. This week we have enjoyed writing our own assembly based on poetry from Allan Ahlberg. 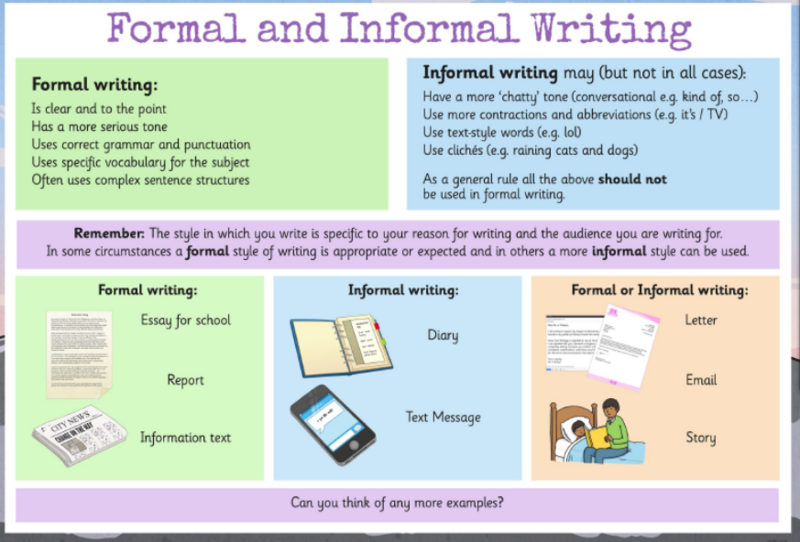 In English this week, we looked at the differences between formal and informal language and when it is appropriate to use these styles of writing. Then, using formal writing, we have published our final piece of writing about the book Cliffhanger. 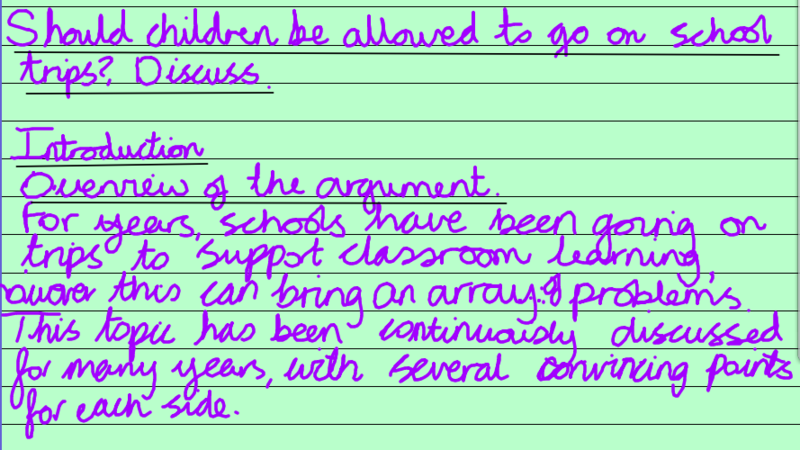 This was a discursive argument, discussing whether children should be allowed to go on school trips. The children had lots of ideas and were very passionate about the topic, particularly after enjoying our trip to Stanley Head so much! In Maths, we have continued to look at perimeter. We enjoyed investigating perimeter outside, using our playground to draw shapes and find their perimeter in groups. Finally, we brought this skill back into the classroom and looked at problem solving using the knowledge we have built up over the week. Wow what a busy week we've had in Year 5 Dolphins class this week! After our brilliant trip, we began our final piece of writing in relation to our class book, Cliffhanger - a discursive argument. 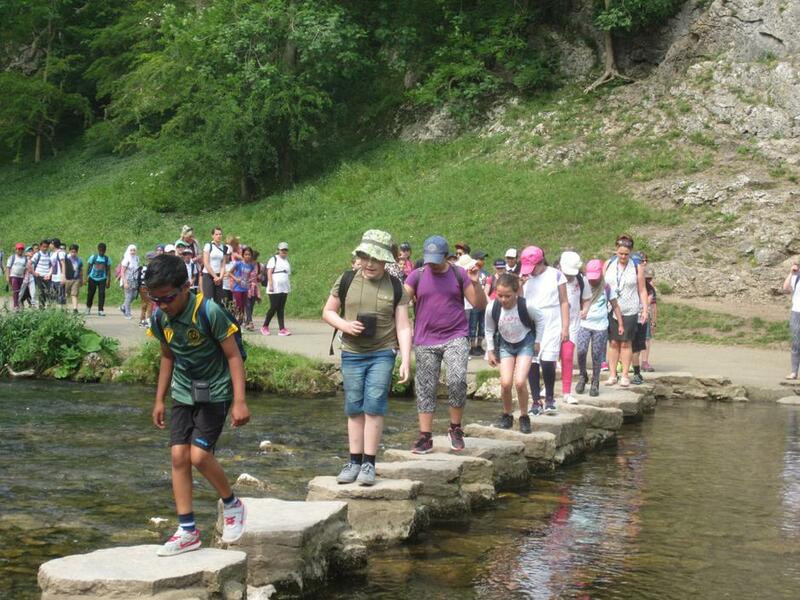 We will be finishing this next week as our final published write of the half term, considering whether children should be allowed to go on school trips. 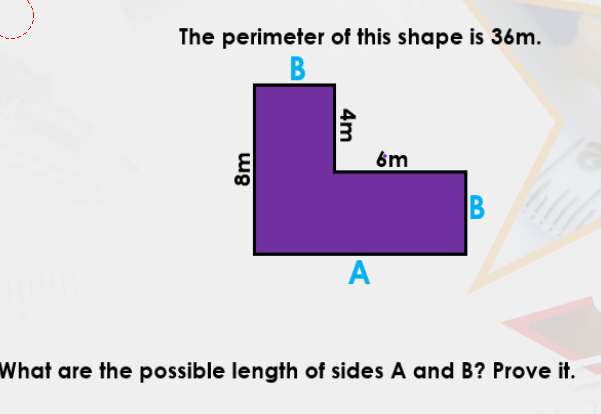 In maths, we have started to look at perimeter. After a brief recap, children were quick to recall their previous knowledge of perimeter of regular shapes. 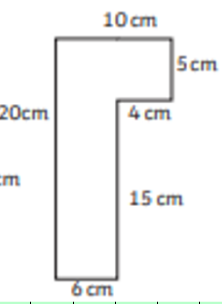 We then went on to look at finding the perimeter of composite rectilinear shapes (such as the shape below), which was a little more challenging! We will continue this topic this week, using concrete apparatus to help the concepts to stick in our minds. 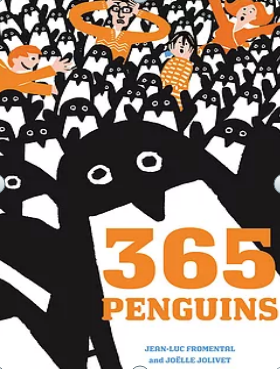 On Number Day, Year 5 Dolphins completed a number of maths activities related to the book 365 Penguins. 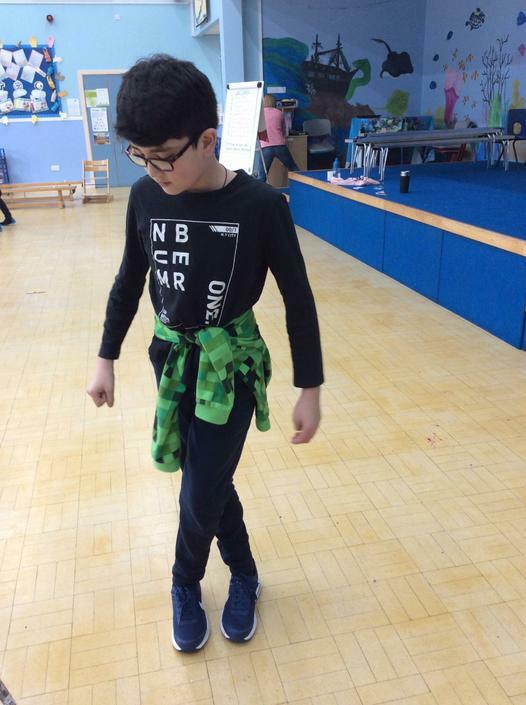 Firstly, children completed a Dance workshop with Mrs Dawson, creating a 'digit dance' using numbers and set movements to dance. The finished performances were fantastic, and children showed great skill and confidence! Next, we had a carousel activities in class. Some children organised penguins into different shapes to see if they could create perfect shapes using 61 penguins. Others answered measure related questions to do with families of penguins, working out conversions between grams and kilograms. Finally, the rest of the Dolphins cracked a Codebreaker challenge, working out the punchline to a penguin joke. A great day was had by all, and thank you for contributing towards such an important cause. In English this week, children have completed their published write, creating their own chapter for Cliffhanger. 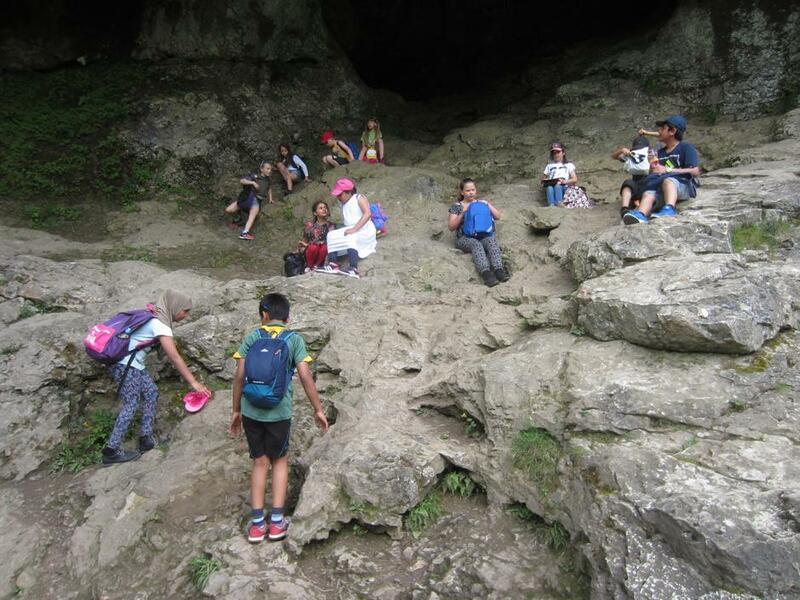 The children chose their own plot for their narrative, from canoeing to caving. We have worked on including spoken word with a variety of verbs to add further detail (muttered, whispered). 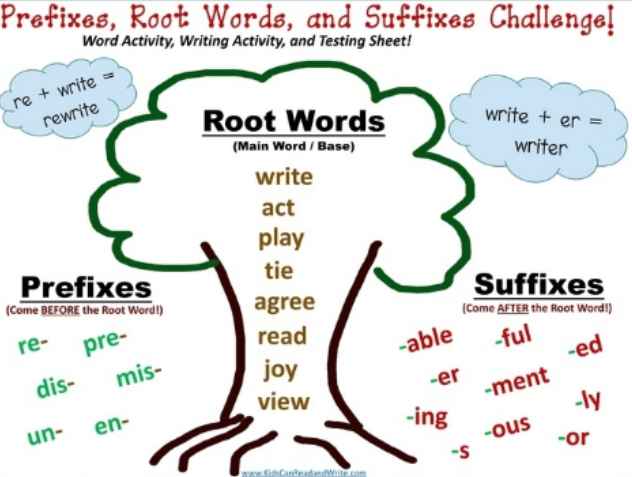 Moreover, we have looked at extending vocabulary to include prefixes and suffixes in writing. In maths,we have begun a new topic of measurement. 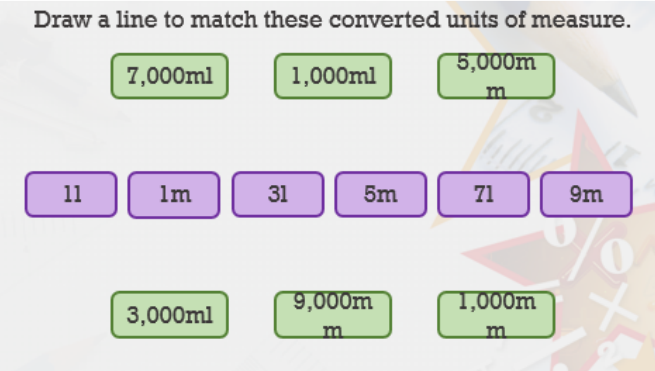 We have been converting between units (e.g. 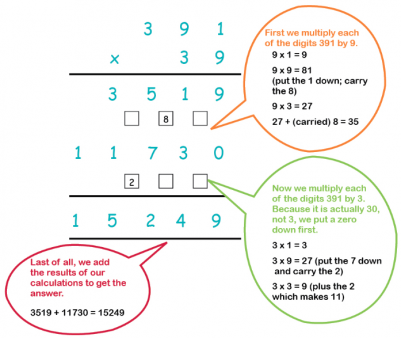 cm to m) by multiplying or dividing by 10,100 or 1000. We will continue this skill into Arithmetic lessons this week, and start to look at shapes, area and perimeter. 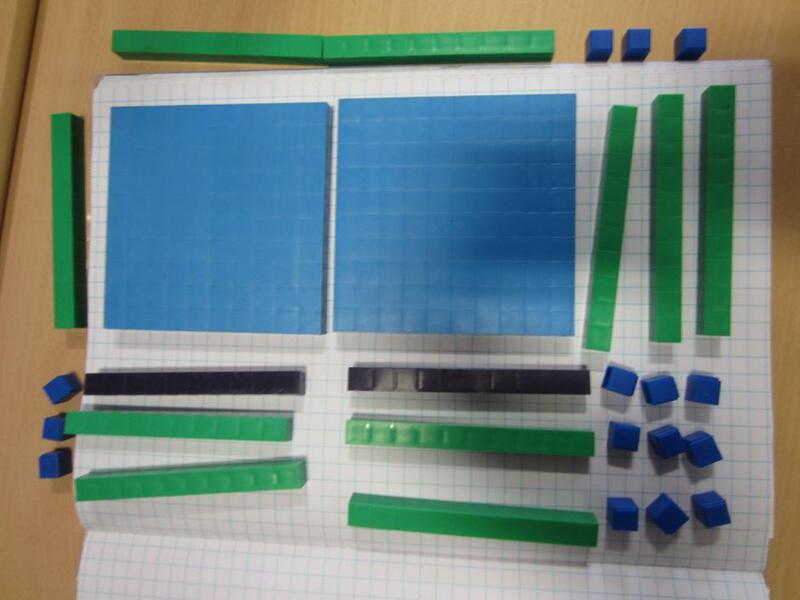 In maths this week, we have been working with percentages, using pictures and maths apparatus in school, to understand that per cent means 'parts out of 100', and relating it to fractional and decimal equivalents. 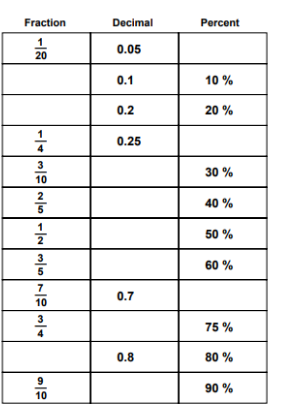 We have then been looking at conversions between fractions, decimals and percentages and understanding the link between the three, and in particular focusing on the common fractions such as 1/2 = 50%, 1/4 = 25% and 3/4 = 75%. We have come to the end of our fractions, decimals and percentages topic. The children have worked tirelessly throughout this sometimes difficult topic, and I'm sure we are all looking forward to a new challenge next week! I just want to mention our new Timetables initiative in school - spy missions. 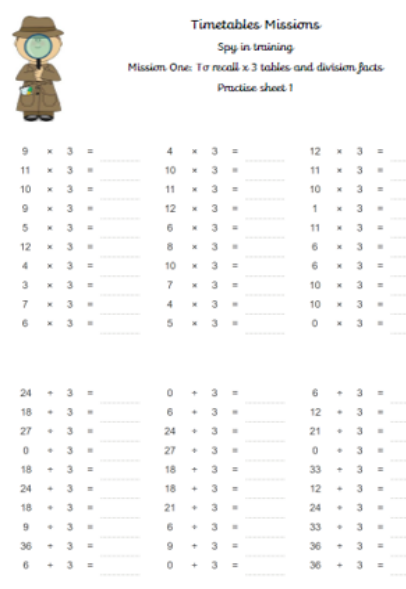 Children will begin on mission one of spy training - their 3 times tables. Similar to Rainbow Readers, as children progress through the spy missions, they will receive certificates for passing their training. We have excellent spies in Dolphin class, as we have already had Dolphins move on to their next stage of Timetables training - Well done! In English, we have began looking at narrative writing in preparation for writing our own chapter of writing next week. 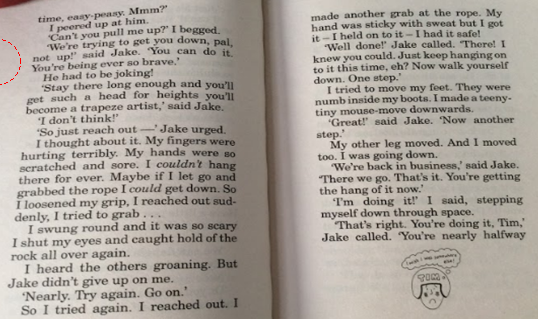 We have really analysed the language in our class book Cliffhanger, and identified examples of colloquial (slang) language which we could magpie for our own work. We have also picked up on more high level vocabulary, and in particular verbs to add extra detail, such as 'begged' and 'urged'. All this has led to us having some fantastic ideas to include in our narrative, which we planned on Friday. Half of the class are writing about going on a caving expedition, while the other half are diving right into a canoeing trip! I can't wait to see those published writes by the end of the week, and remember, some of them will appear on our English display in our classroom. 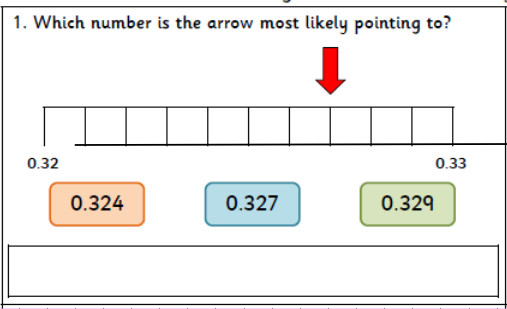 In maths, we have began to move on to working with decimals, and noting the relationship between them and fractions. 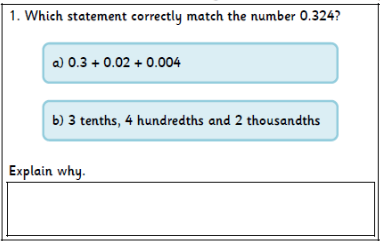 We have identified the value of the tenths, hundredths and thousandths column and ordered decimals up to three decimal points ( e.g. 0.327) with this new knowledge. 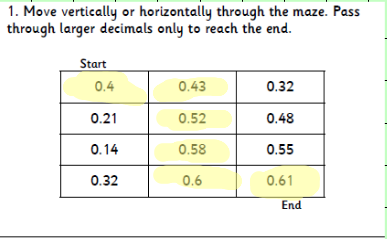 Next week we will continue with decimals, looking at rounding to the nearest whole and tenth, before moving on to percentage and combining knowledge of fractions, decimals and percentages with problem solving. 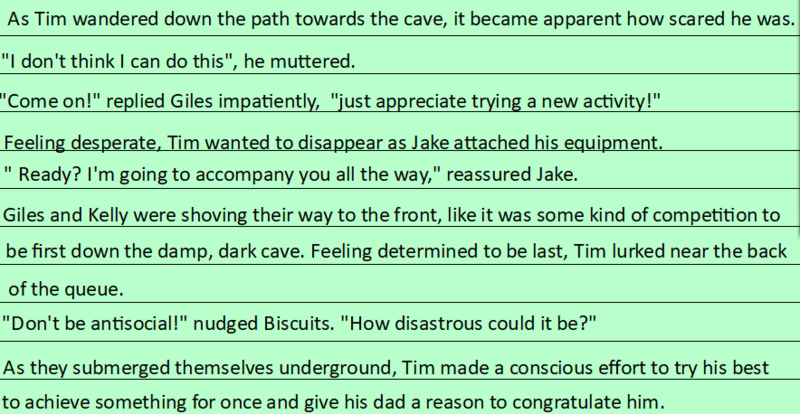 In English this week, we have spent the week working up to our published write on Friday, writing a recount letter as the character Tim, from our class book Cliffhanger. Children have learnt to identify emotions of characters and write using emotive sentences, before being introduced to the skill of parenthesis (using brackets, dashes and commas) to include further detail and feelings. We have revised the letter writing structure before finishing the week with a fantastic published write. Wow, what a busy week back at school! 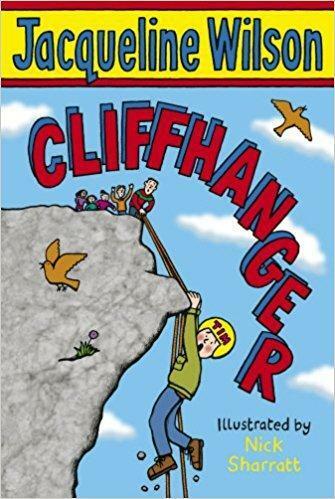 We have had lots of fun in English reading our new book this half term, Cliffhanger. We have enjoyed learning about Tim, the main character, and his trials as he embarks upon his stay at an Adventure Centre. We have focused on analysing the three main characters, and on Friday the children completed a character description of Tim. In maths this week, we have continued our topic of Fractions and moved on to multiplying them by whole numbers. I have been so impressed with all the Dolphins this week; they have worked incredibly hard to understand and apply their new skills to word problems and reasoning. This week, Mrs Dawson and I have been simply amazed by the creative homework that has been brought into Dolphins class - so much so, that here is a sneaky peek of just a few of them below. I'm sure you can agree, these are simply outstanding and thank you for all the effort that both children and parents have put in to these creations. We hope you have had a wonderful winter break, making lots of memories and having a good rest. We simply cannot wait to see all of your amazing homework projects - but, don't worry! You have until Friday to perfect them before they must be handed into school. Mrs Dawson and I can't wait to welcome you back tomorrow morning, and hear about all of the fantastic things you have been up to! 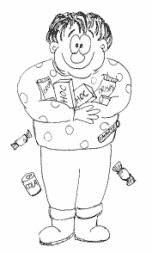 Remember that the door will be open from 8.50 am - have an early night and get to school nice and refreshed! What a busy time we have had leading up to the winter production! 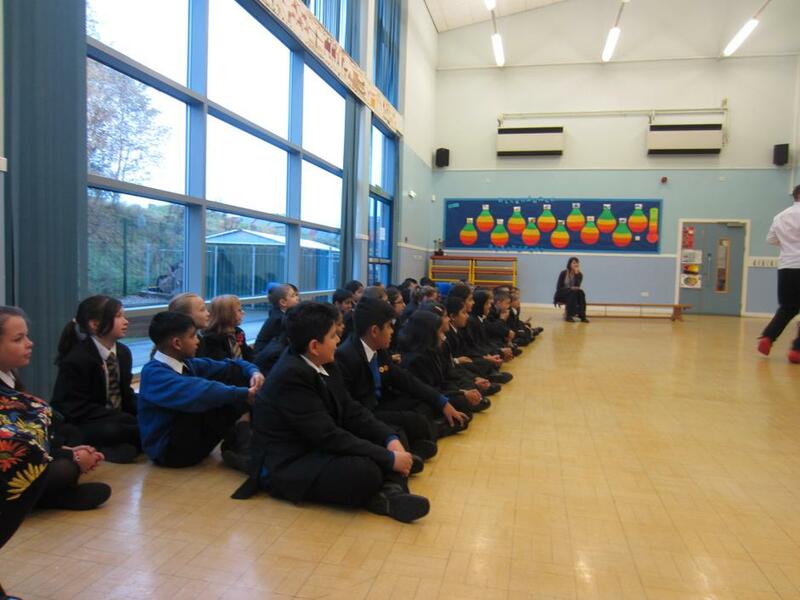 When we haven't been practising our lines or songs, our lessons have carried on as normal. 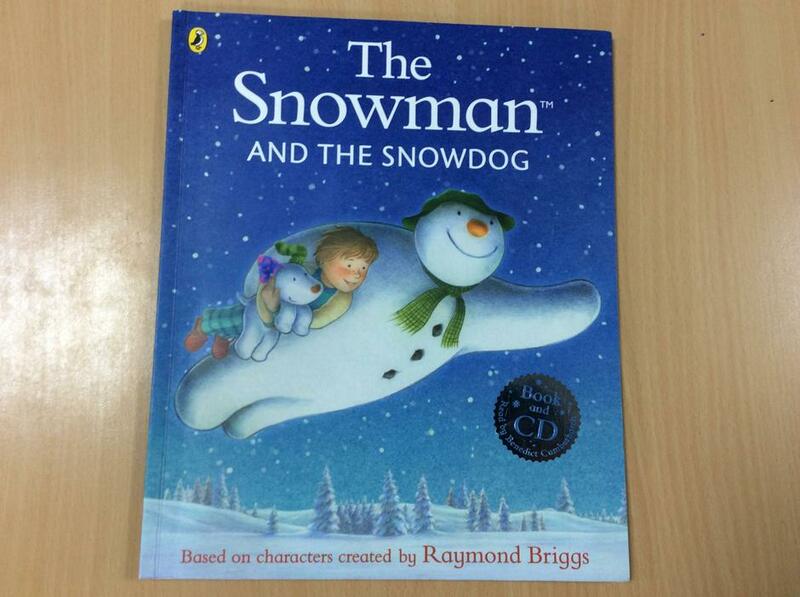 In English, we have finished off our publish write, writing from the perspective of Billy when he discovers his Snow-man and Snow-dog have come to life. 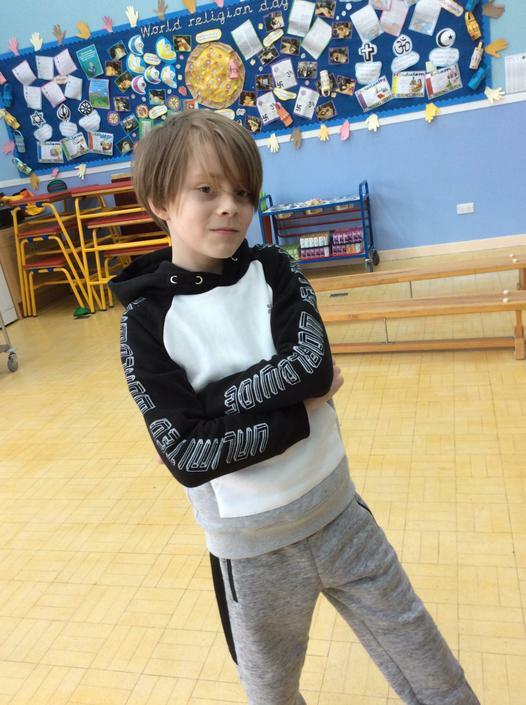 The drama activities of freeze framing and hot-seating have helped children to empathise with the character and understand how he felt. Plus we have an added advantage for the winter production, considering we are performing this same book! For maths we have continued along the topic of fractions. Children are growing in confidence as this topic develops, and they are starting to enjoy the challenge. We have been adding and subtracting fractions, first with the same denominator, and then by converting fractions which have different denominators. 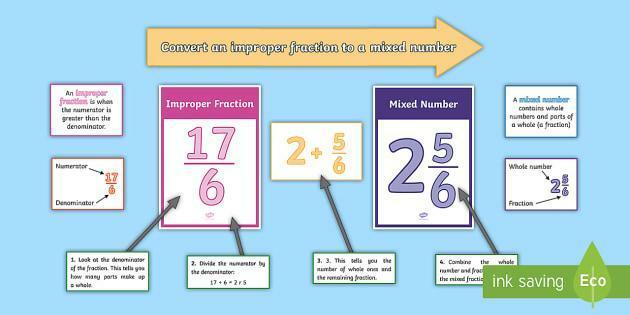 We have also looked at mixed fractions this week, and how we can convert them into improper fractions. In maths this week, we have been working with fractions. I know that some children felt a little nervous about this new topic, but we had a fabulously fun lesson using a number of hands-on resources to put any nerves to rest! Once children understood visually the concept of equivalent fractions, we then moved on to showing this as a written method in maths books. 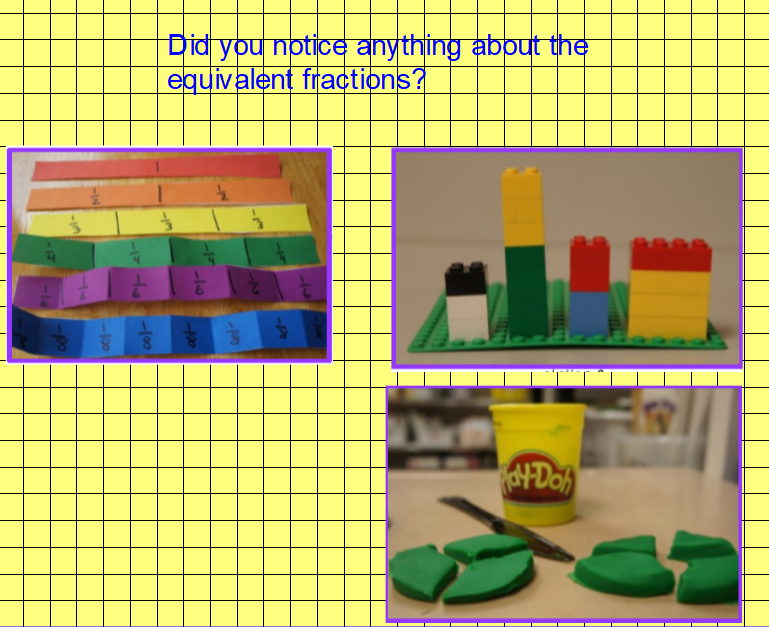 We really enjoyed a more practical maths lesson this week, and I will be looking for ways to do this more often in our future topics :) Next week we will be moving on to learning about different kinds of fractions, and beginning to use them in number sentences! 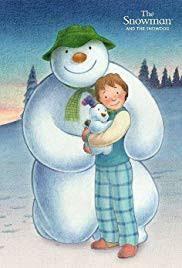 In English, we have been reading a winter-themed short story of The Snowman and The Snowdog, a sequel to the much loved Snowman tale. We have been analysing the character of Billy through drama activities including hotseating (which parents who attended the reading workshop were treated to) and role on the wall. This has allowed us to really relate to the character, his thoughts and feelings throughout the book, in preparation for a diary entry for our publish write this week. Let's just say we have some very talented young actors in Dolphin class! We have had a fantastic week in Year 5 Dolphins class. In Maths, we have been revising our understanding of division and the bus stop method. The children have wowed me with their understanding and fluency, moving on to dividing four by one digit numbers and completing multi-step word problems. Some work has even made it to our ‘incredible work’ display! In English we have been focusing on Stubby, a book about a stray dog who goes to war with his new soldier friends. 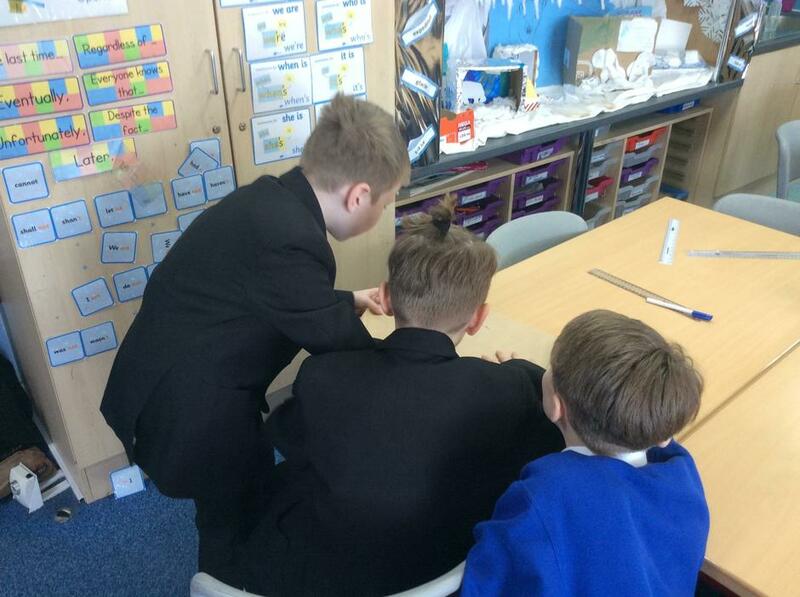 We have enjoyed writing a setting description of the trenches, and learning about the different ways Stubby helped during the war, including helping to protect the soldiers and keep up morale. Children have been writing a retell of the story and focused on using punctuation to add further description. We will continue with this into next week, and publish all children’s writing in a book for display in our classroom. A wonderful week of learning – well done Dolphins! English - we have produced some fantastic pieces of writing this week. We have published them and some superstar writers have had their learning put up on display. We hope you have had a fantastic half term having lots of fun and keeping safe. 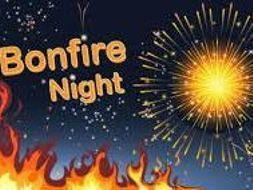 This week we have been learning about different celebrations as we have had bonfire night and Diwali this week! 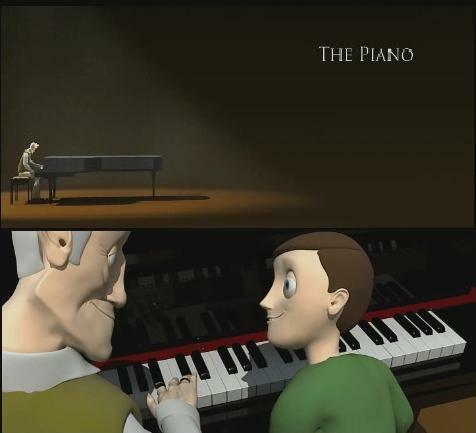 In English we have linked out writing theme to our topic of World War 1 and have begun our learning based around The Piano - an animation telling the story of an old man through pictures and music. 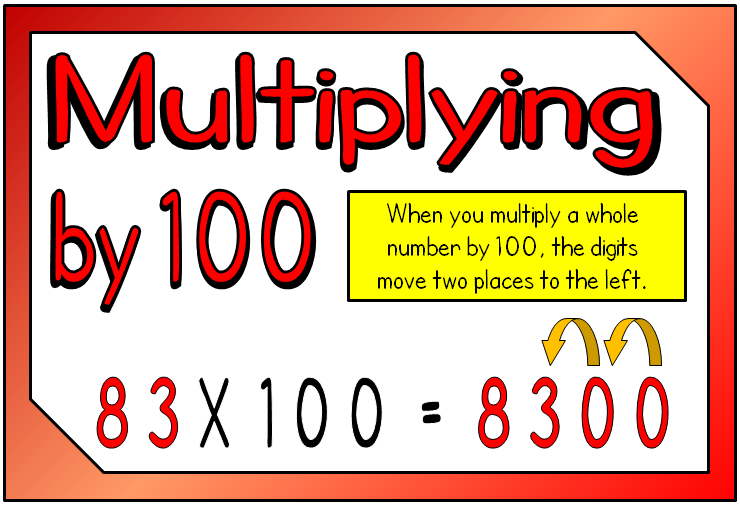 In maths we have been learning how to multiply by 10, 100 and 1000. We need to use our place value knowledge and remember to move the digits to the left as when we multiply numbers become bigger. I can not believe that we are half way through the half term already. The children have now begun to settle in well to the new routines and are beginning to make great progress. Y6 have been completing their writing based on the book ' A Monster Calls'. The children have learned all about expanded noun phrases and how to use powerful verbs. In reading they have developed their understanding of inference and how to interpret answers from a text. In maths, we have continued to understand the place value of numbers including negative numbers and developing an understanding of how to calculate over zero. Y5 have been learning about Journalistic writing. They have looked at the different features of newspaper reports and begun to write an orientation using the 5 W's about their book 'Aquila'. In maths the children have been learning how to round numbers up to 1 million and have now become more confident. 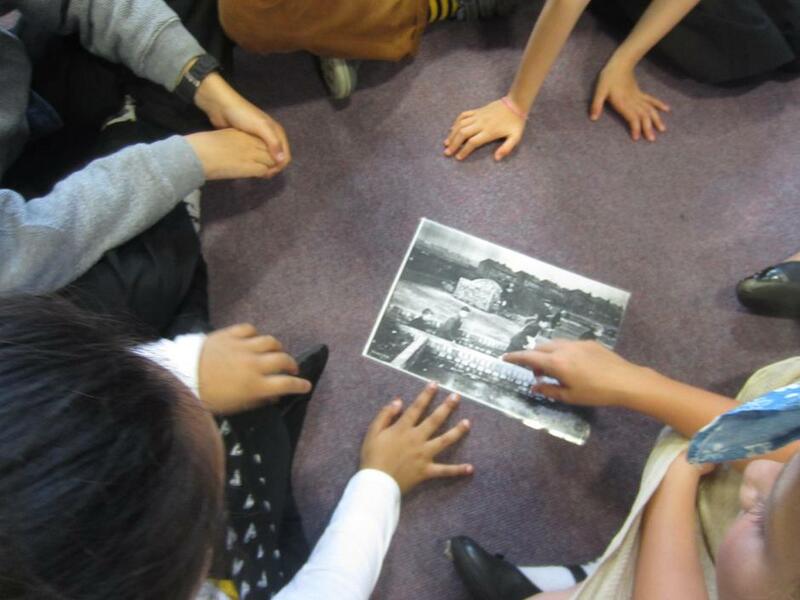 In the afternoons, the children have been continuing their learning about WW1. 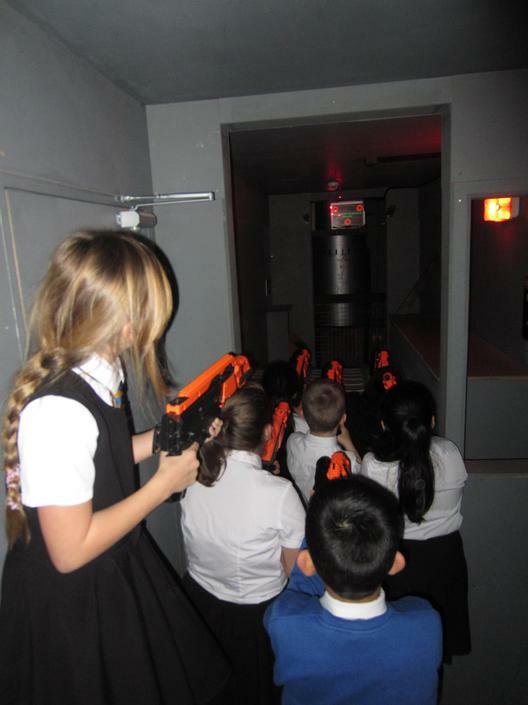 This week they have looked at What it felt like for the soldiers to go off to War. They have created art work and used pic college to show this. 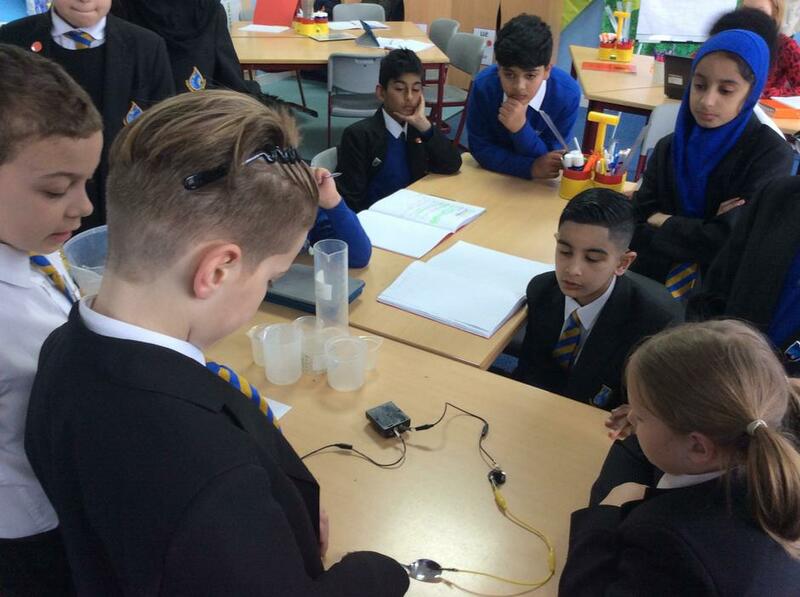 In science, the children conducted an investigation to determine which exercise had the most effect on their heart rate. Please remember that all homework must completed each week. This includes: daily spelling, times tables and reading. Welcome back to the new school year and welcome to Dolphins class. It has been a very busy first week back and so lovely to see you all after the holidays. We have got the year off to a good start setting up our classroom, our rules and expectations. 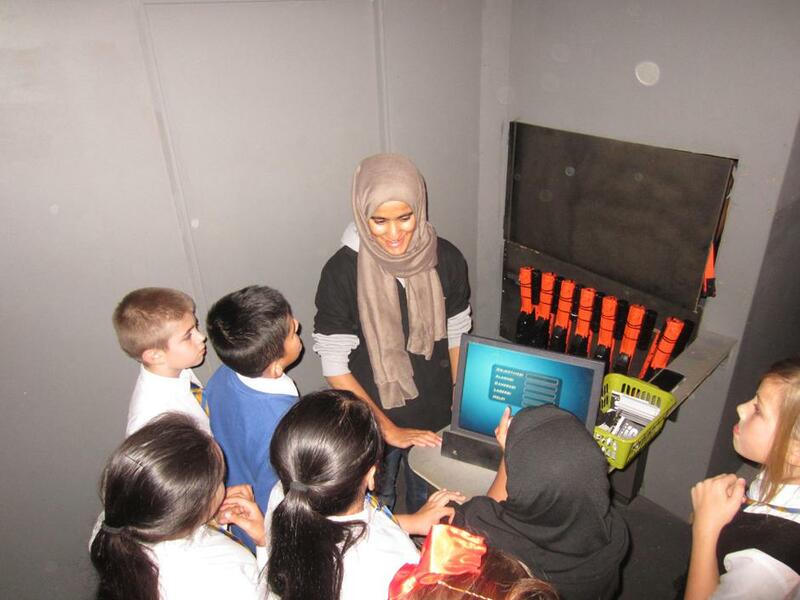 This half term we will be learning about WW1 and the children got to the visit the Imperial War Museum in Manchester this week. 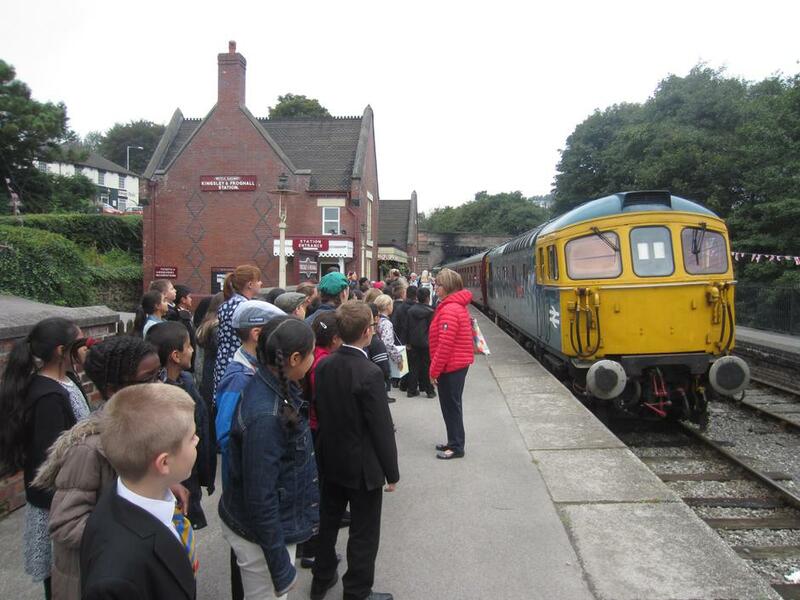 As always their behaviour was superb and they learned so much about what the War was like. 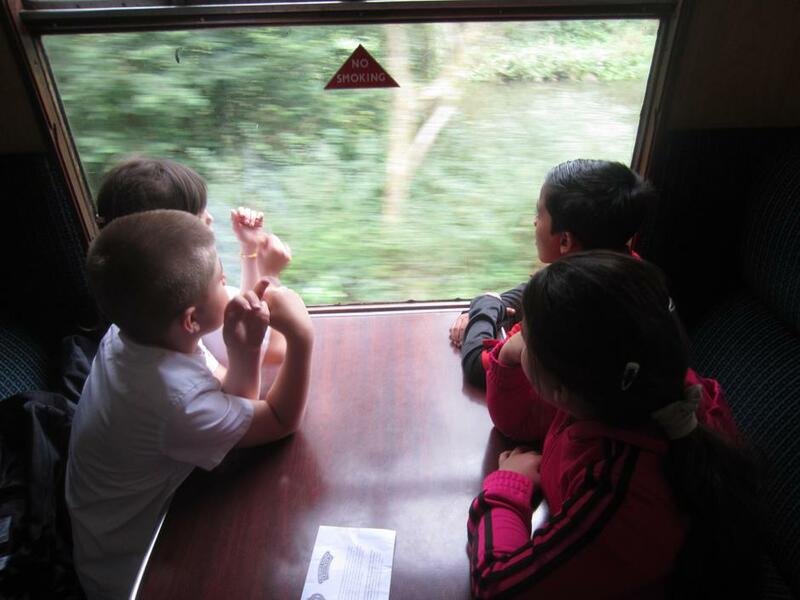 The children asked some very insightful questions and came back understanding so much more than when we first arrived. 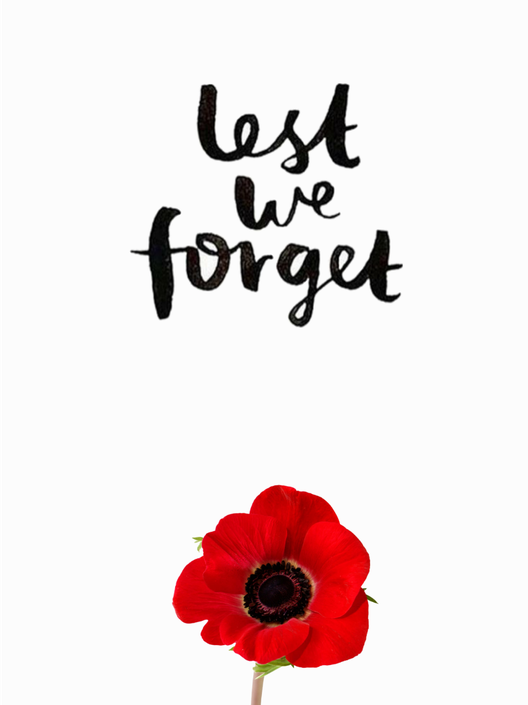 By the end of our topic the children will be conducting their own Remembrance service for the whole school, so over the next few weeks the children will be learning about WW1 and the lives of those who were on the frontline and homefront. 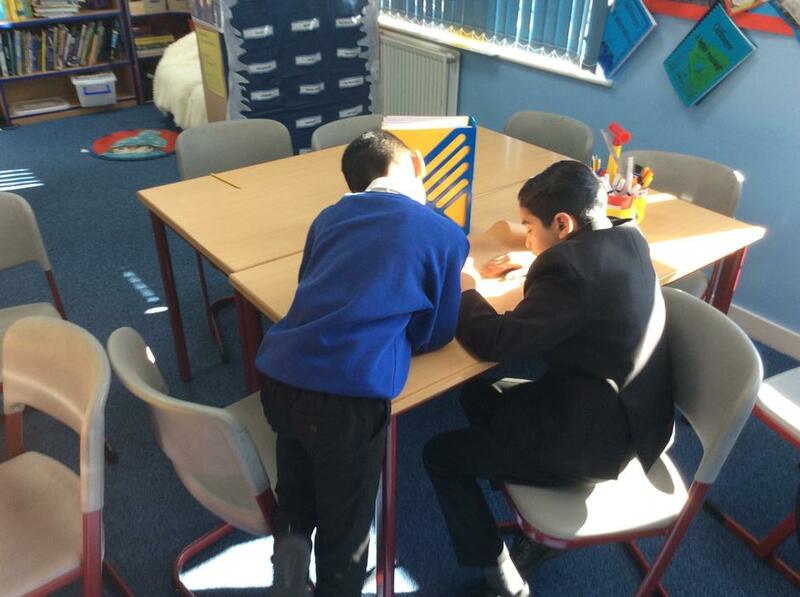 Year 5 and 6 will be taught separately in the mornings to give them the best possible support. Daily reading, spelling and times tables must be completed. These will be checked in class by the class monitors each morning. Don't forget that early readers is on every day from 8.30 until the start of school. This week has been a very warm one! But it hasn't stopped Dolphins class from continuing to work hard on their learning. In Maths, we have been revisiting converting units of measure. We have been 'upping our game' using problem solving and reasoning. We are so proud to say that we all achieved 'Gold' this week! This means we can all confidently problem solve using conversion of units. In English, we were proud to publish our fantastic Spooky stories. As our teacher to read them (if you dare!). Our ideas and writing were both very impressive and we produced some fantastic final pieces. In Encompass, we have been exploring the role of knights. We especially enjoyed acting out some of the behaviours knights would show to demonstrate chivalry. We found it very funny! Following our research, we have created diagrams of armour, fact files about chivalry and a non-chronological report. We have also had another transition morning this week. We have been visiting our new Year 6 classes with our new teachers and classmates. We cannot believe how quickly Year 5 has gone but we are starting to feel ready for Year 6 and the wonderful learning we know we will be doing. In English, we have been continuing with scary stories. This week, Dolphins class have been writing their own scary story. We have been exploring ideas including apocalyptic forests and spooky spirits. In Maths, we have been working on geometry. Specifically, we have been investigating translation, reflection and symmetry. In Encompass, we have been researching the role of knights in battle and chivalry. Take a look below to see what we've been doing in English! In Dolphins class we cannot believe that we are almost at the end of year 5! Time has flown and we have had lots of fun. This week has been no exception to that. We have been continuing our theme of scary stories. On Monday, we watched 'The Swing'; a story that starts in a very ordinary way but which ends in a terrifying way! We have been writing our own retell of this story using rich description. In Maths, we have consolidated our knowledge of multiplication and division with tricky problem solving challenges to prove we have mastered the skill. In Encompass, we have been developing our knowledge of the 'Black Death' by exploring the herbs they used to treat the illness and creating a quiz to test our knowledge. We have also started practising for our performance. We are very excited to share our performance skills! This week we have been exploring scary stories. 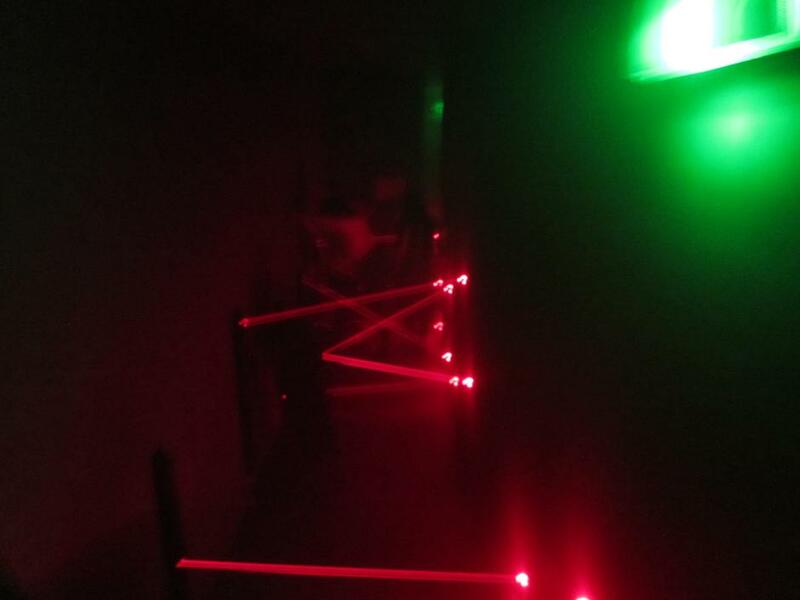 On Monday, the children entered a mysteriously dark classroom to find it abandoned. A mystery presence had knocked over the chairs and emptied the pencil pots. We read spooky stories in the dark and discussed what made them so scary. 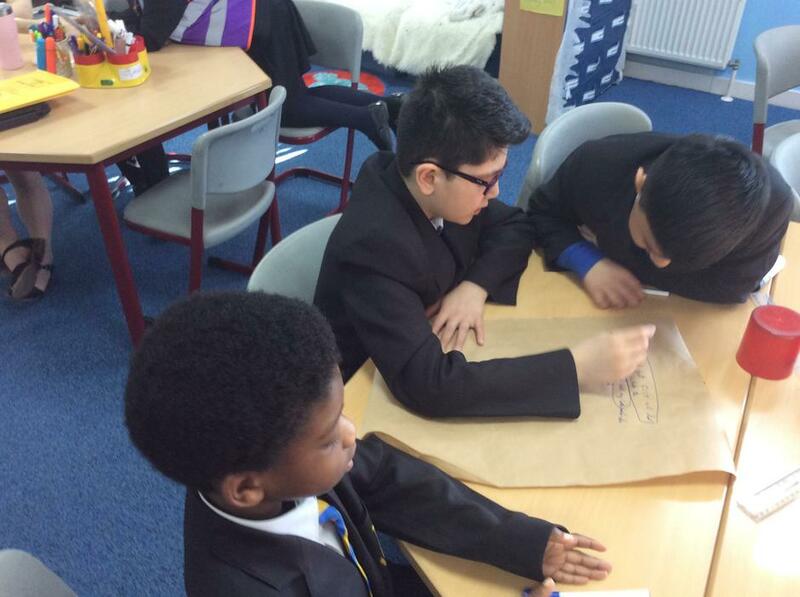 In Maths, we have been preparing for year 6 with some tricky problem solving using multiplication and division. We have worked extremely hard and showed a great deal of resilience. In Encompass, we used a carousel to explore the spread of the plague. We looked at mouldy bread (ughh!) to discover how bacteria and mould spread. We used our map skills to plot the geographical spread of the plague. 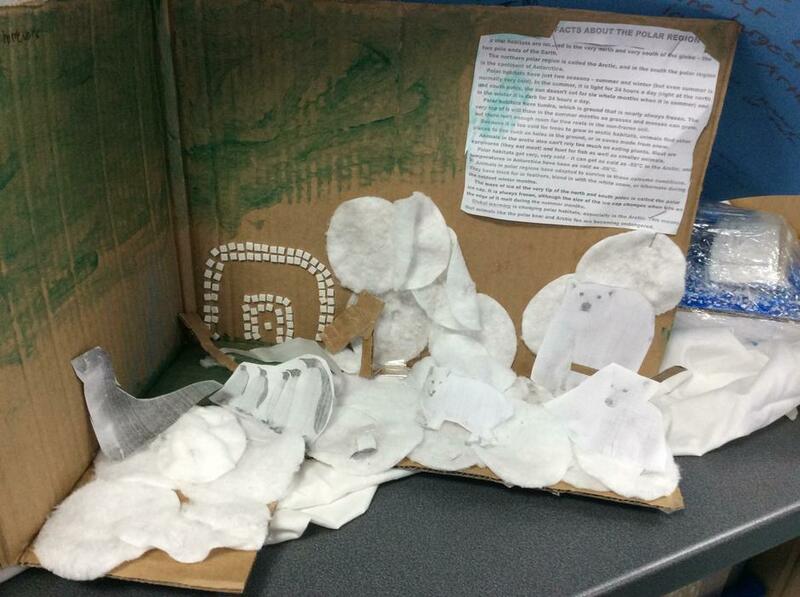 We also created life cycles of fleas and rats. The final week of Summer 1 was certainly a busy one! We can't quite believe that we are close the the final half term of year 5. This week, we have been exploring poetry. Specifically, Robert Frost's 'Nothing Gold can Stay'. We analysed the poem and realised that it held a great deal of emotion. Through discussion, we further understood that Frost was discussing the theme of change. As a result of our analysis, we decided to create our own poems based on change. Our themes ranged from growing old, the seasons changing to children growing up and leaving home. We are extremely proud of our poetic achievements this week as, with hard work, we were able to produce some highly emotive poems. 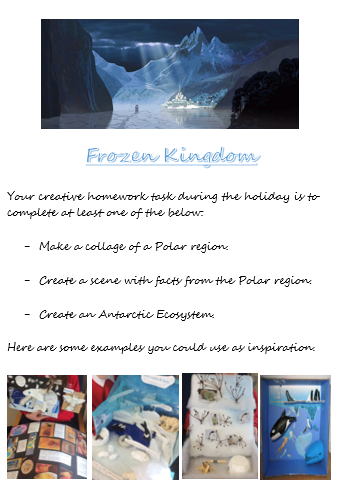 Take a look below to see some of our Frost-inspired work! In Maths, we have been continuing with measure. This week, we focused on area and continued working on angles. We have worked really hard and now feel like we're experts in area! In Encompass, we started our new topic; princes, peasants and pestilence. We explored death in many forms (music, art and language) and learnt about the horrific conditions people lived in during the outbreak of the plague. 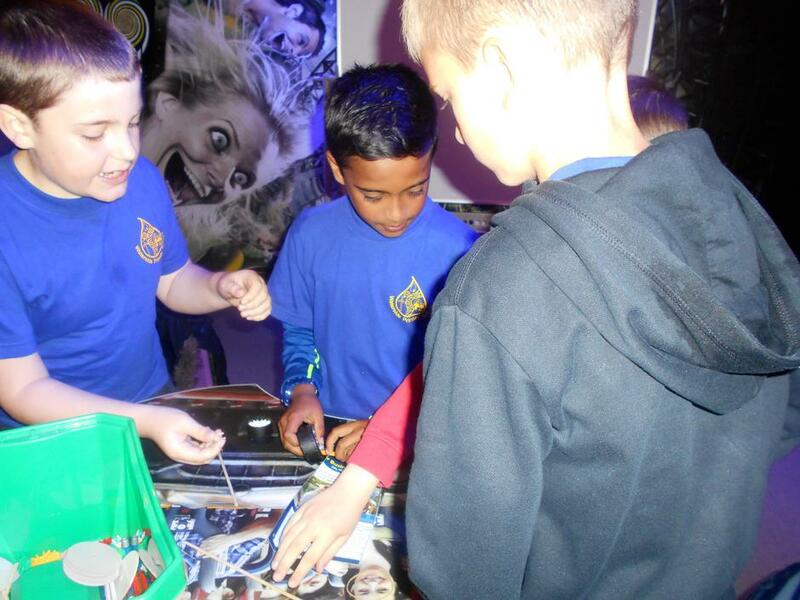 We can't wait to see what gruesome and gory facts we'll discover next half term. What a special (royal) week in Dolphins class! This week, we celebrated the royal wedding of Prince Harry and Megan Markle. On Friday, we celebrated after a week of hard work with a street party. We had a fantastic time! In Maths, we have been exploring angles including measuring, estimating, drawing and finding missing angles. We have managed to get to grips with using protractors and have bee very hands-on finding the angles hidden in everyday objects around us in school. In English, our class have been writing persuasive letters to Veridian from 'the alchemist's letter', who is about to become mesmerised by the wicked machine his father built, which can turn any metal into pure gold. 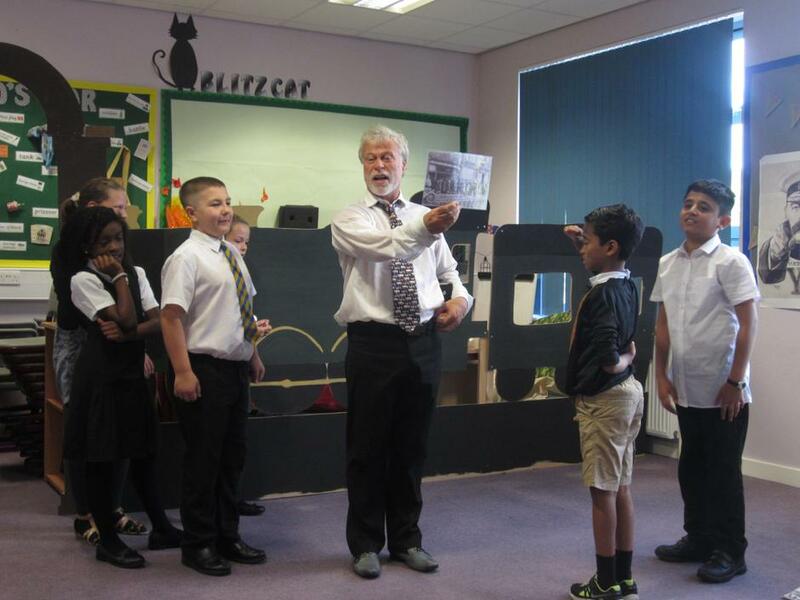 Dolphins class had to intervene and ensure that poor Veridian didn't abandon his daughter for the prospect of wealth! We think it's safe to say that the fantastic persuasive writing we produced has convinced Veridian that family is far more important than wealth. After all, as Dolphins class said in their debate 'you can always earn money but family is more precious than anything'. 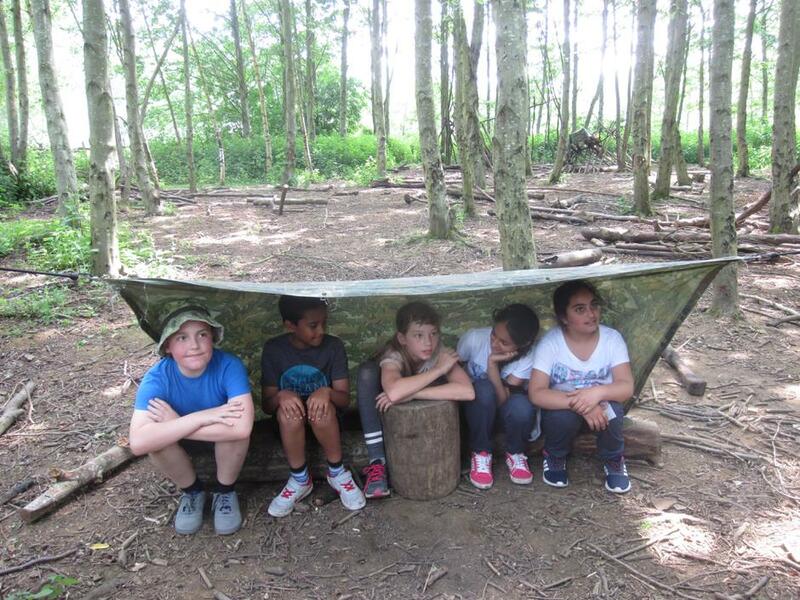 In Encompass, we learnt how to survive on a desert island and began to think about how animals can survive in seemingly inhabitable conditions. In Science, we explored density of solids, liquids and gases. In Art, we began to create our fabulous board games. Have a look below to see us as mini game developers in action! 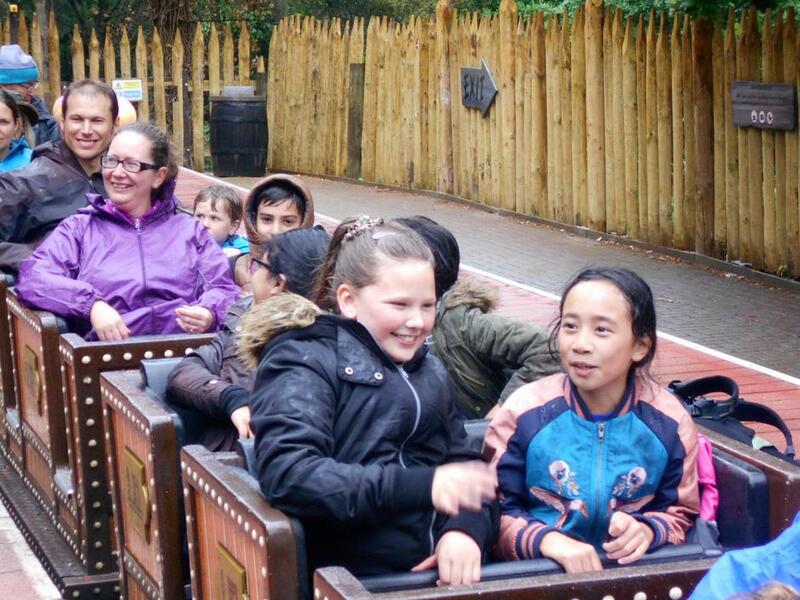 We're excited for what the final week of this half-term will bring! 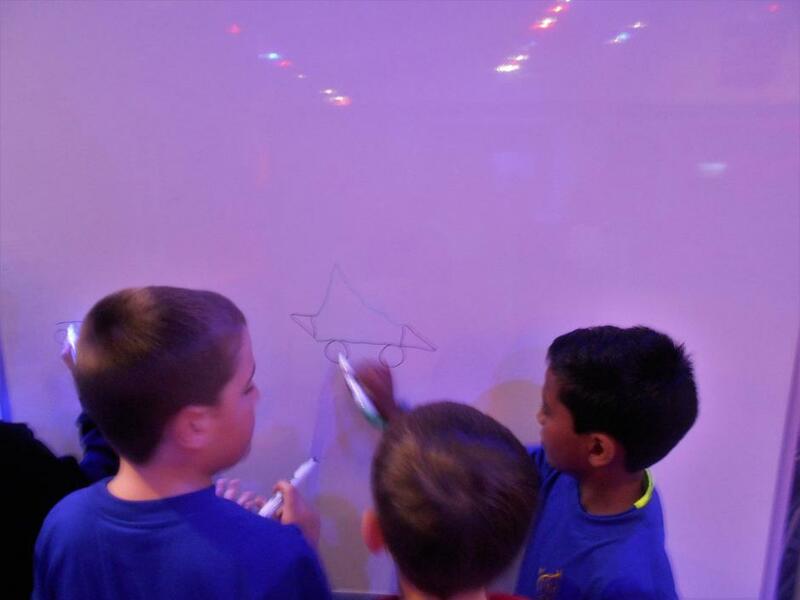 What another busy week for Dolphins class! In English, we have been writing our own version on 'Journey' by Aaron Becker. We have changed the characters and locations in order to create our own adaptation of the adventure story. Have a look below at our hall of fame. They are all real quotes from our work. We're feeling very proud! 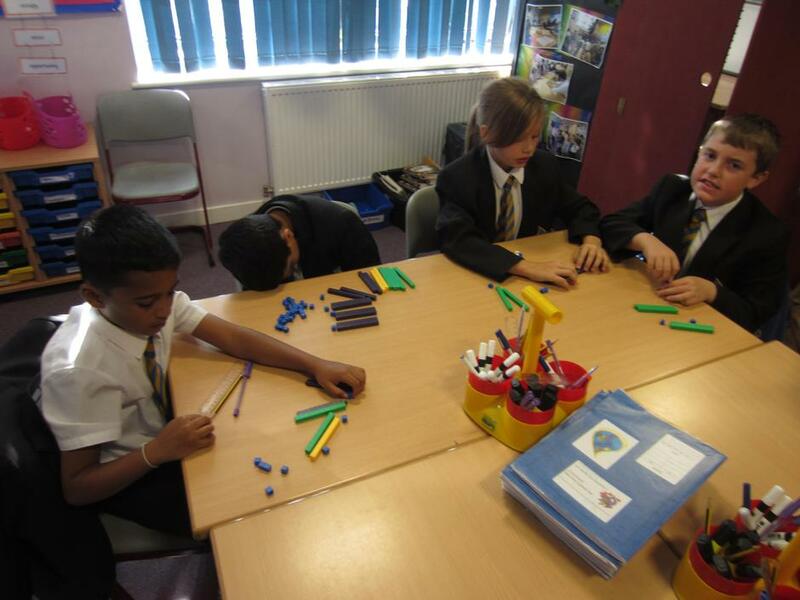 In Maths, we have been exploring fractions, decimals and percentages and how to convert between them. 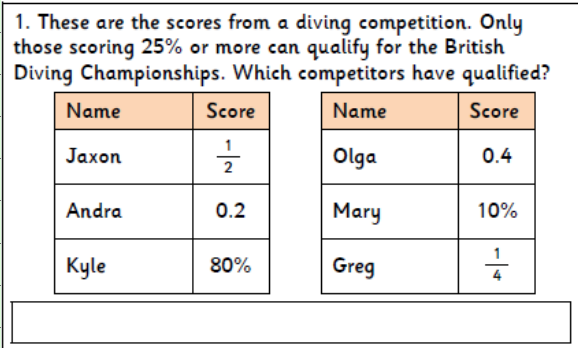 We need to know the fraction equivalents of 25%, 50%, 75% and 10%, so we really need to keep practising at home. If parents and guardians test us, that would be a fantastic help! In Science, we have been researching how to separate materials using filtration, distillation and evaporation. We learnt about the impact of oil spillages in polluting our oceans and harming wildlife. Take a look at our fabulous work below! This week, our teachers have been really impressed with our focus and determination to learn. We are keen to keep it up this week. This week, we have been exploring measure in Maths. We have been revising our skills on converting between units of measure including weight, length, volume and capacity. 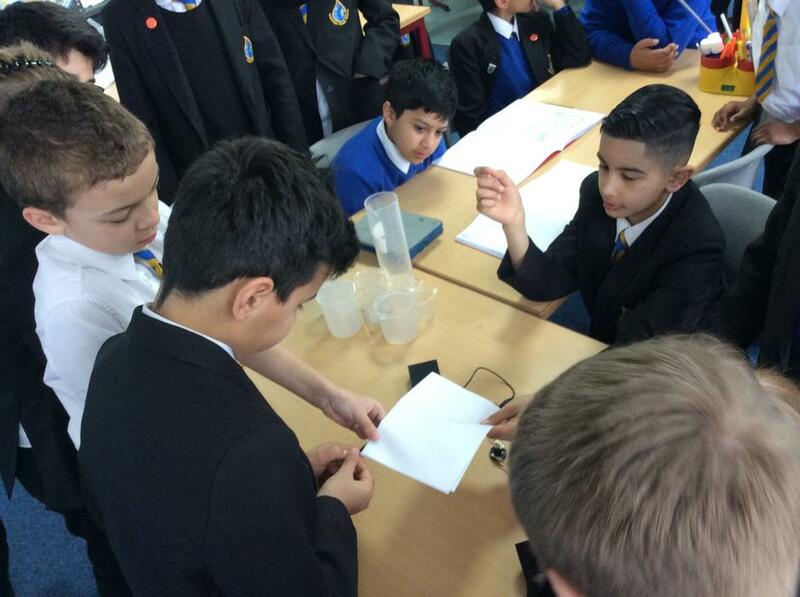 We had the chance to explore volume and capacity with practical skills using water and blocks. 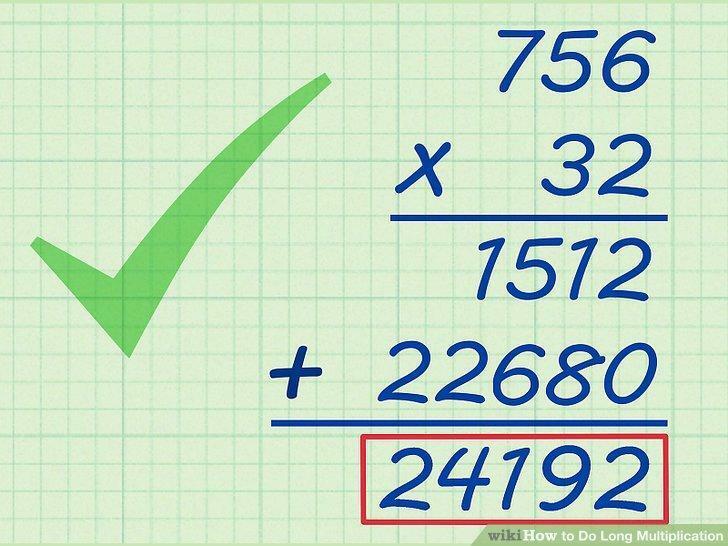 This really helped us to solidify our knowledge of how to calculate these sometimes difficult concepts. In English, we have been continuing our quest around alchemy island. This week, we completed our setting descriptions of the grand citadel. Our teachers were so impressed with some of our writing. We have really excelled! In Encompass, we have been continuing to look at the risks of peer pressure and have been thinking about some ways to deal with this as we grow up. Next week, we will explore the best ways for us personally to deal with pressures we might face. In R.E, we are exploring Humanism. it is fantastic to look at different religious and non-religious groups and see the similarities and differences. This week, Dolphins class have been exploring their surroundings now they have stepped inside the portal of Alchemy Island. Following our portal hunt last week, this week we were able to get a look around the Island. We have been given a map and a challenge by the Alchemist to make our way around the mystical island finding clues and solving challenges as we go. We are very excited. Our first challenge was to find out where certain materials came from on the island. To do so, we used our scientific knowledge to test various materials which had been discarded from the island. We had to test their properties such as conductivity, material and appearance to find out which magical zone of the island they may have come from. 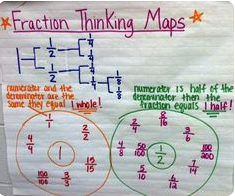 In Maths, we have been revisiting fractions including equivalent fractions and using fractions in calculations. In English, we have been writing setting descriptions about everything we are discovering now we are on the island. We have written about magical castles with rickety bridges. Our teachers have been really impressed by our writing this week! In SMSC, we have been learning what to do in times of need; what numbers to call, who to ask for help and what websites we can visit if we are worried, sad or confused about something. 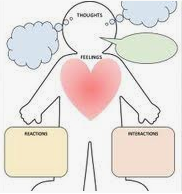 We know it's OK to feel different emotions and that it helps to talk about it. We can't wait to see what we will encounter next on the island. Hopefully, we'll meet the Alchemist at some point! Have a look below to see some of our Art and design technology work in creating a mood board for a new board game we are creating. The first week back after the Easter break certainly has been a busy start to the Summer term for Dolphins class. First, in order to enter the island, we had to find a portal through which to enter the new world. We went 'portal hunting' in the playground. Have a look below to see some of the surprising locations of portals. We have started our journey through the portal to the mystical 'Alchemy Island'. Dolphins class have been writing and publishing setting descriptions about the magical view we saw as we stepped through to the new world. In Science, we also had the chance to make our own potions which represented our personality. We discovered which materials float or sink, what displacement of liquid is and why certain materials feel hot or cold when we hold them. 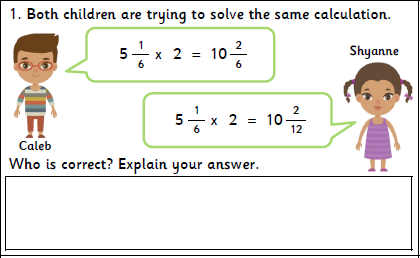 In Maths, we are embedding our fractions skill through really tricky problem solving questions. 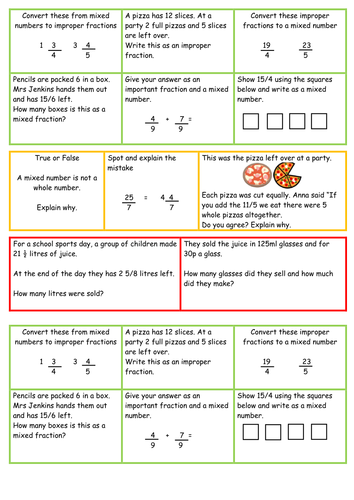 This week, we have worked really well on equivalent fractions, conversions and fraction sequences. Unidentified Flying Object seen over Staffordshire countryside! According to witnesses, Dolphins class have been writing fantastic newspaper reports this week. Witness claim they have even spotted steam coming from the pens of the class as they furiously try to record this unprecedented event! This week, we have been writing newspaper reports based on 'Aquila'. In one part of the book, two cyclists see the mischievous boys flying their newly-discovered spaceship over the countryside. Shocked, confused, startled-does this mean the Earth was in danger? Have a look below to see us in action as we turned into mini journalists and found the features of a newspaper article. In Maths, we have been exploring addition and subtraction further. However, our teachers have challenged us by asking us to do addition and subtraction problem solving. 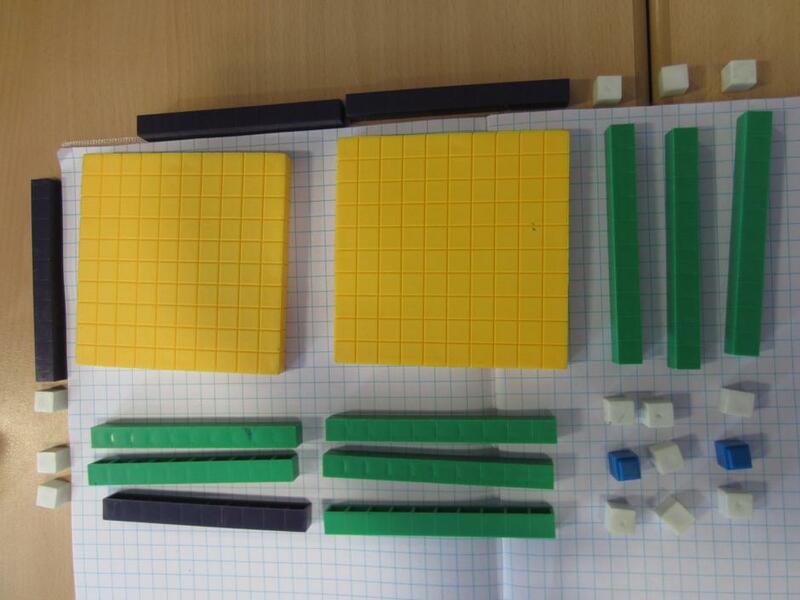 We have been working with word problems, missing numbers and Gattengo boards! 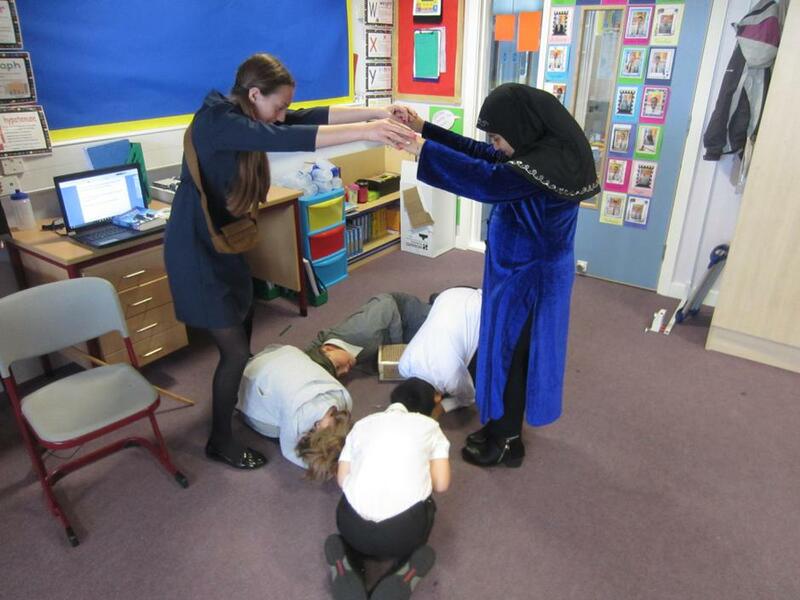 We have had a gruesome week in Encompass as we learned about Tudor crime and punishment. We practised our presenting skills by sharing our findings with the rest of the class in a group presentation. We all agreed that we are happy to live in today's era instead! We have four days left of this term and we are determined to squeeze lots of learning in! This week saw rainbow readers celebrations, parent's art workshop, rain forest animals and science experiments. 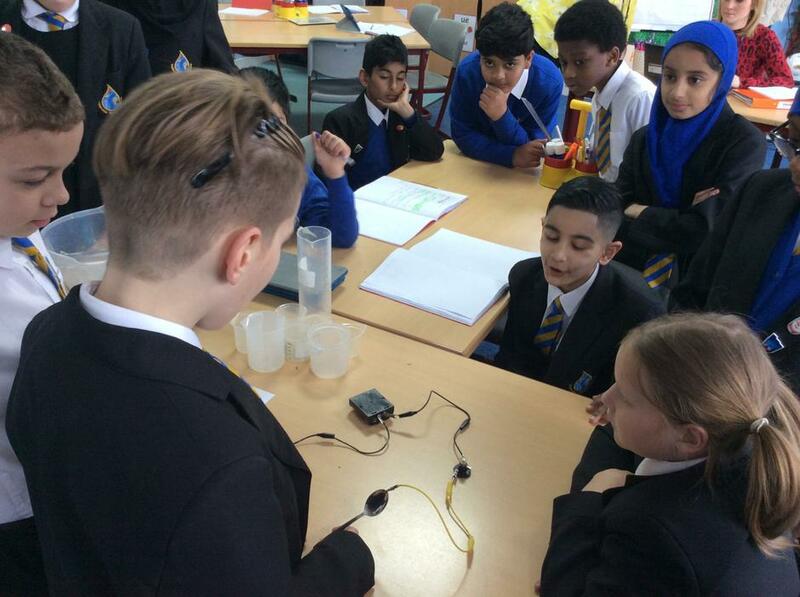 This week was British Science week. To celebrate this vital subject, we researched the rainforest habitat. We were lucky enough to have a visit from Zoolab on Monday. Zoolab brought a range of rainforest animals into our class. These animals included Giant African snails, cockroaches, snakes, tarantulas, millipedes and jungle rats.We were even brave enough to hold some of them! We were amazed at all of the facts we learnt about the range of fascinating creatures. 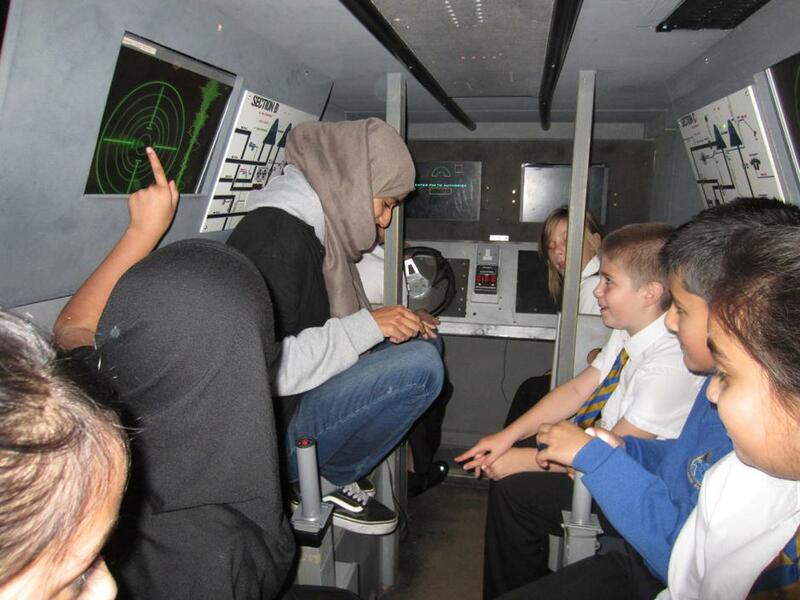 Have a look below to see some photos of our bravery! We also welcomed our parents and guardians into school for our Art lesson. We produced some beautiful paintings of rainforest animals. Thank you for helping us to create our masterpieces! On Friday, we conducted an experiment in which we built houses/dens out of paper and tested which design and material kept water out best. 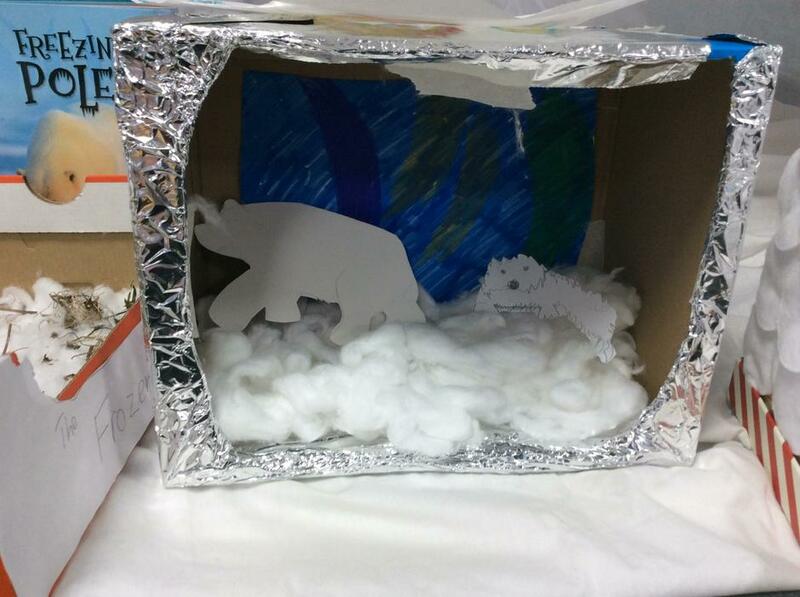 We applied our findings to how animals build dens in the rainforest. In Maths, we have been focusing on converting measure. We had a 'wow' day in measure on Tuesday in which we explored measure in a hands-on way. We were able to explore weight, length and capacity conversions. This really helped us in our conversion problem solving throughout the week. To finish the week, we applied these skills to money. This week, Miss Davies-Moore and Mrs Flaherty have been really impressed with the enthusiasm, determination and resilience shown in Maths. A fantastic week of intense learning! In English, we have been retelling chapter 1 of Aquila. We have been working on and creating our own version of Norriss' exciting adventure story. Some of this week's best writing has included writing about character's inner thoughts and feelings and use of dramatic effect. What another busy week we've had in Dolphin's class! In Maths, we have been practising our rounding skills and have been using these skills to estimate and check the answer to complex calculations. We have also been learning about different graphs, with a focus on line graphs. We consolidated this knowledge in our Science lessons on the increasing height and weight of babies, as part of our 'growing old' Science topic. We were also delighted to welcome some mums, aunties and nanas into our school for Mother's day afternoon tea on Friday. Some of the special ladies in our lives also came to our class and helped us in our Science lesson. Thank you to those who came! It was great to share our learning with you. Here's to another busy, productive and enjoyable week! With some snow and freezing temperatures, week 22 has been a bit of a strange week for Dolphins. However, we have made the most of our learning time. At the start of the week, we were lucky enough to visit Ford Green Hall to deepen our knowledge of the Tudors. 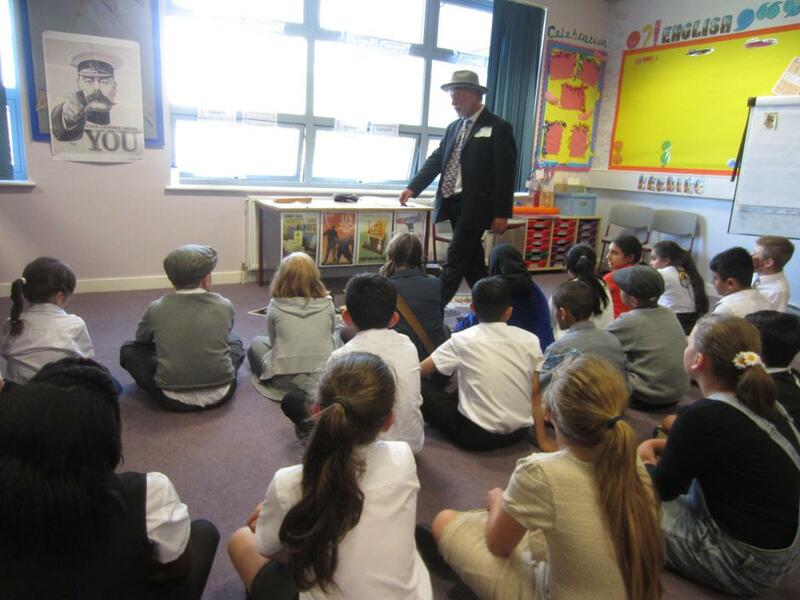 We attended workshops on Tudor food, clothes, buildings, lifestyle and games. We even got the chance to see what it would be like to be a Tudor child and realised that the games weren't as bad as they first appeared. Have a look at us in action playing a range of Tudor games below. Some of us even said we would swap our tablets and laptops for wooden Tudor games! Would you? In Maths, we have been working on prime, composite, square and cube numbers with many of us aiming for greater depth work. Miss Davies-Moore has been really impressed by our hard work and progress this week in Maths! In English, we have been exploring how soldiers in WW1 would view a 'snow day'. We discussed the horrific conditions in the trenches and the conditions the poor soldiers had to endure. We are looking forward to getting our teeth into more excellent learning next week! Take a look at out visit to Ford Green Hall below. As school is closed today, please complete the Maths and English work below. 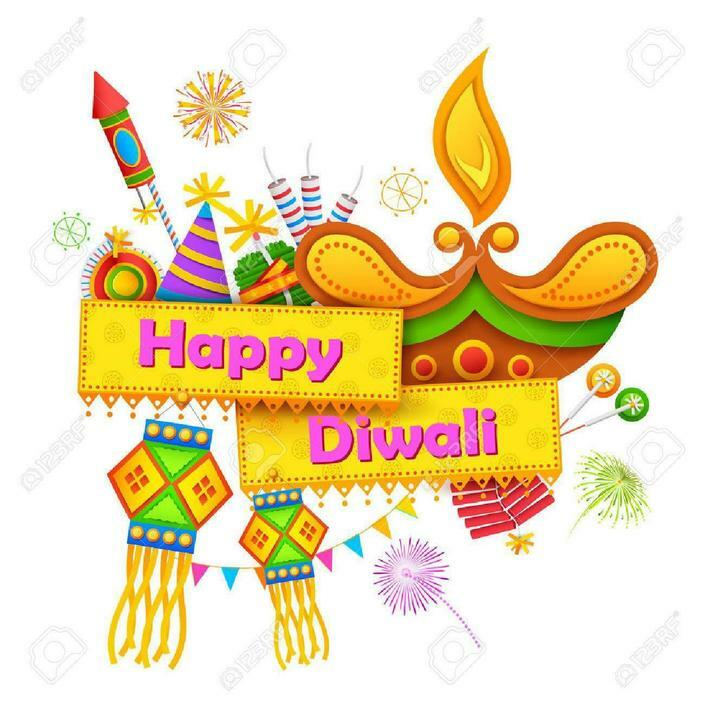 Have a safe and enjoyable day! This week we have been very busy learning about Mental health and E-safety. As well as performing a fantastic play based on E-safety and discussing how we can care for our minds, we have been continuing to excel in Maths and English. What a busy week it has been! 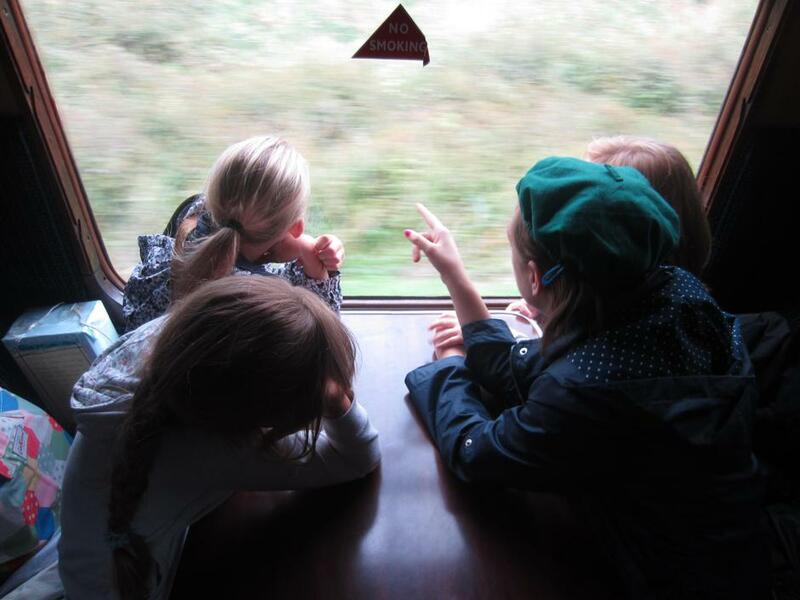 In English, we have been imagining we are evacuee children. 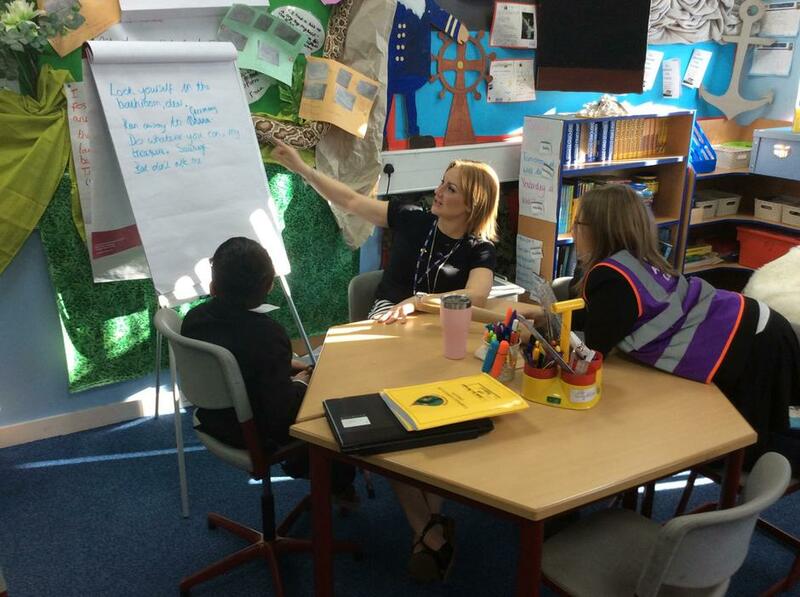 We have been writing short stories based on the new lives of the children who were evacuated. Interestingly, we have been discussing the issues that faced childre who were evacuated and have been watching some real life interviews from people who were evacuated as children. In Maths, Dolphins class have been focusing on the important skill of money. We have been focusing on all four operations using money in order to review our addition, subtraction, multiplication and division skills. This week also saw our parent consultations. This was a great chance for us to share our wonderful learning with our parents and guardians. It made us very proud to let them know how well we're doing! We are determined to continue our fantastic learning in the final week of our half term. Dolphins class have had a wonderful week this week. 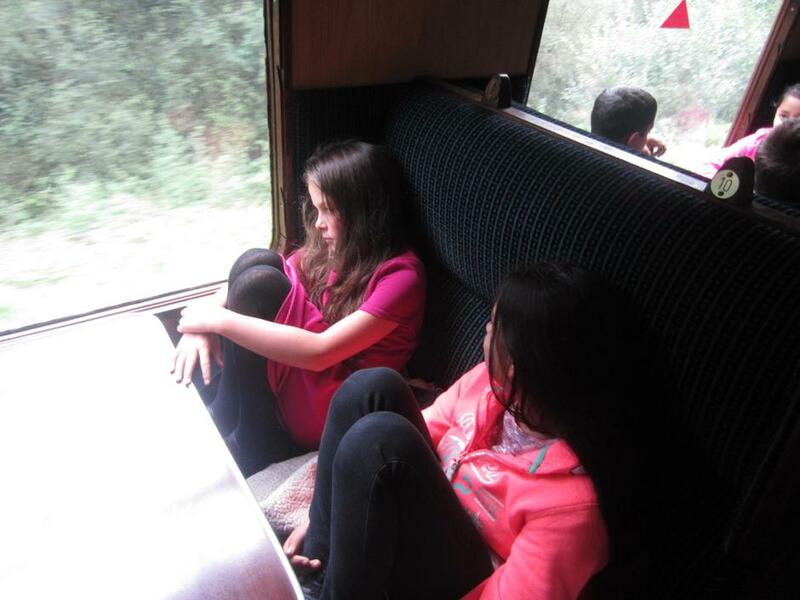 We've learnt so much! In English, we have been continuing gaining inspiration from 'Goodnight Mr Tom' and have been transforming into newspaper reporters. We have been imagining that we lived during the time of the Blitz and have been interviewing local residents of war-torn cities. We have produced some excellent writing using year 5 standards and dramatic literary devices. In Maths, we have been reviewing fractions and testing our knowledge. We have been simplifying, finding equivalent fractions and finding fractions of amounts. Have a look below to see some of the fantastic teamwork going on in Maths when we were faced with a really tricky fractions problem. We got there in the end! In Encompass and Science, we have been continuing our journey into Space. This week, we investigated the geocentric and heliocentric theories. After weighing up the evidence, we decided which theory we supported most. We also made a human model of each theory, with each of us representing a different planet. We have also been doing some map work this week. 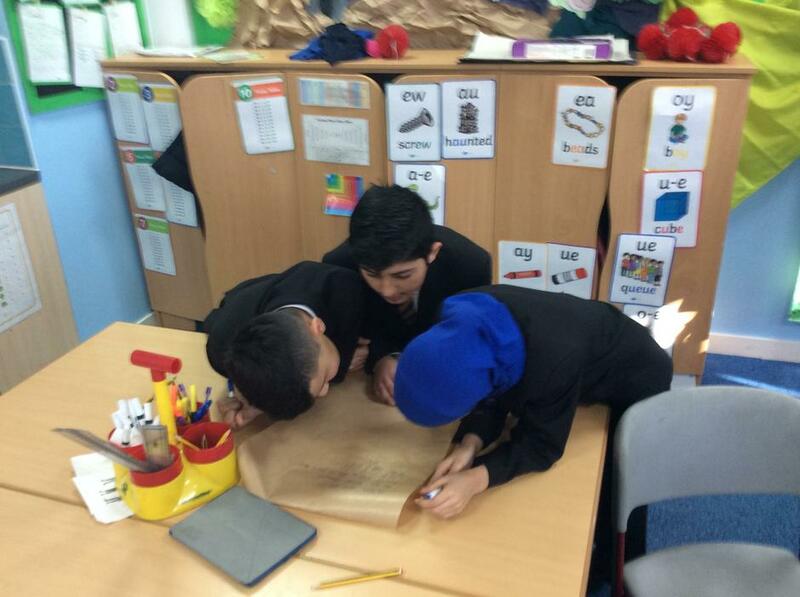 We plotted the location of Henry VIII's residences and learned about the difference between Tudor and modern London. Dolphins class have been writing fantastic newspaper articles. This week in Dolphins, we have been writing newspaper reports on the declaration of WW2. We have been looking at how it affected both people living in the city and countryside. Specifically, we have all produced our own newspaper report announcing the start of the war to Little Weirwold (the village that Mr Tom lives in). In Maths news this week, we have been exploring multi-step problems and focusing on gaining a deep understanding of how to use all four operations. Importantly, we have been studying the language that mathematical questions use and what operation this language links to. In Science, we have continued to learn about the wonders of Space. This week, we studied the planets and the vast difference in their environments. Take a look at some of our photos below! We can't wait to continue our learning next week! We've had another fantastic week in Dolphins class! We are all thrilled with our new text 'Goodnight Mr Tom' and have produced our first published write of the new year, writing a character description of Tom Oakley and William Beech. We are so gripped with our new text that we are desperate to see what happens next! In Maths, we have been exploring some practical measure skills. We have focused on conversion between units of measurement and time. We have also been investigating volume and capacity with hands-on building with blocks and water. The answers and demonstrations were amazing! Our favourite part was watching Tim play space ping pong due to the lack of gravity! We can't wait to continue with some more fantastic learning next week. What a wonderful first week back we have had in Dolphins class! Despite having a shorter week, we have fitted in lots of new learning including research about evacuees during WW2. We have also been studying measure in Maths, focusing on area and converting between units of measure. We have also started our new topic 'Off with her head' about Tudors. What an exciting term we have ahead! We are certainly ready to start the new year in Dolphins class! Check out our new classroom displays below! As it's coming up to the new year and saying farewell to 2017, complete this Maths challenge all about 2017. Write your own poem based on the Highwayman using the techniques listed below. Complete this crossword. The answers are this week's spelling words. Please find below some work to be completed due to snow. Write your own poem about the beautiful snowy weather you can see outside. If you can't see any snow, here's a picture. Below is a WAGOLL. 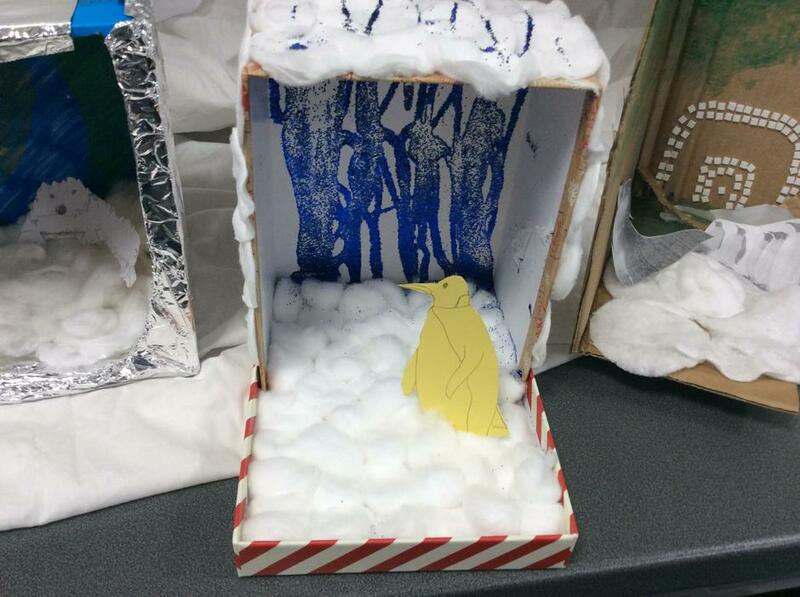 You could make your poem fantastic by describing how the snow feels beneath your feet or how it makes the air smell! 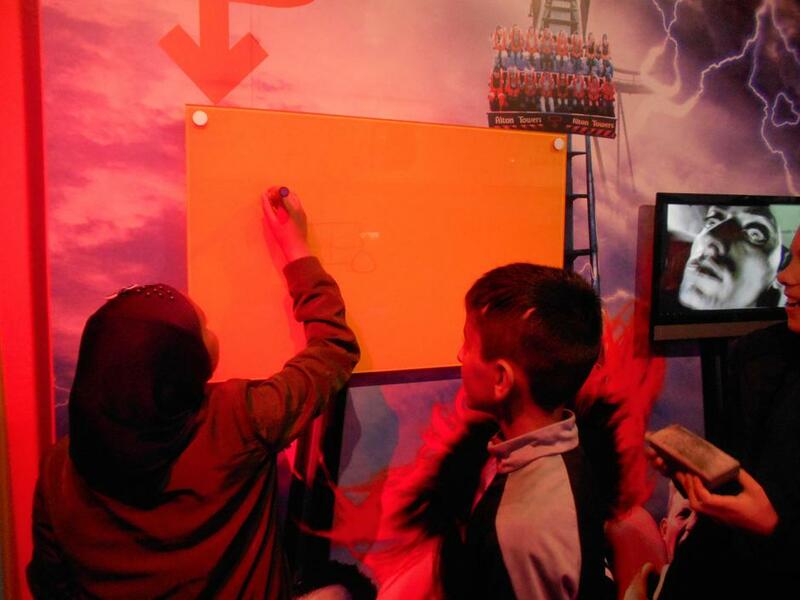 Complete the Winter Olympics code breaker challenge. Complete the calculations to find the number which links to a letter. Combine the letters to make the name of team GB athletes. This week, we have been exploring the poem 'The Highwayman' by Alfred Noyes. We read the atmospheric poem, explored the use of colours, metaphors and similes in the text, and even had a chance to perform a section of the poem. 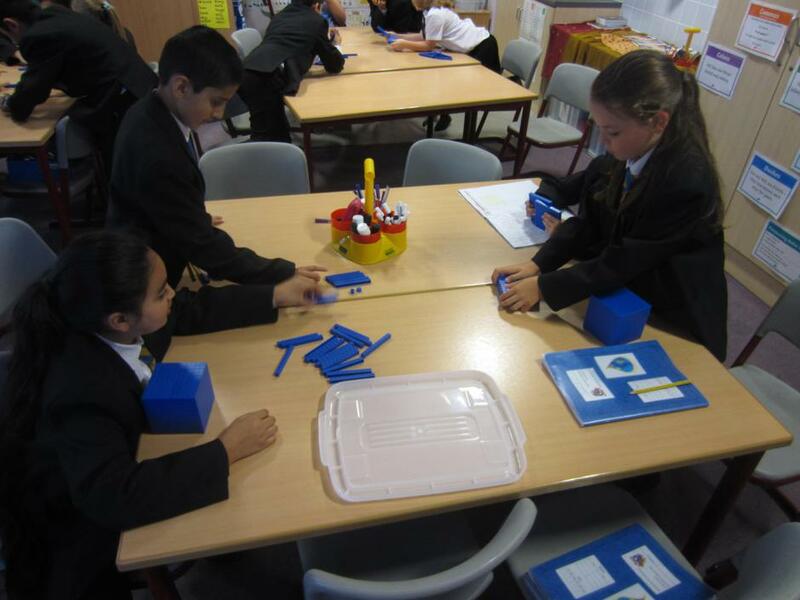 In Maths, we have been rounding decimals and exploring square and cube numbers. A high point of our week was discussing how we can help our friends if they feel sad in SMSC, we came up with some lovely ideas! This week in Dolphins class, we have been exploring healthy lifestyles. We have been investigating what it means to have a balanced diet and designed healthy lunchboxes. In English, we have written fantastic moral narrative stories based on Stanley's adventures at 'Camp Green Lake'. 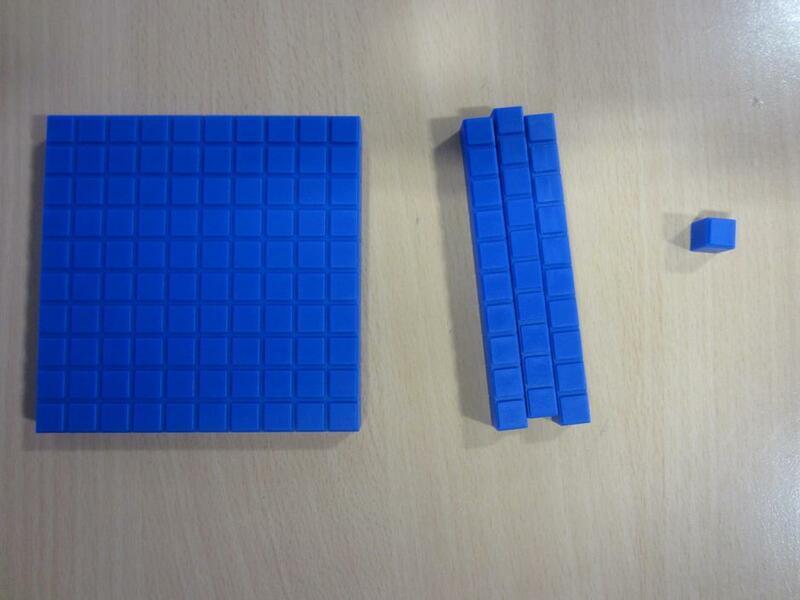 In Maths, we have been exploring what it means when a number is squared or cubed. 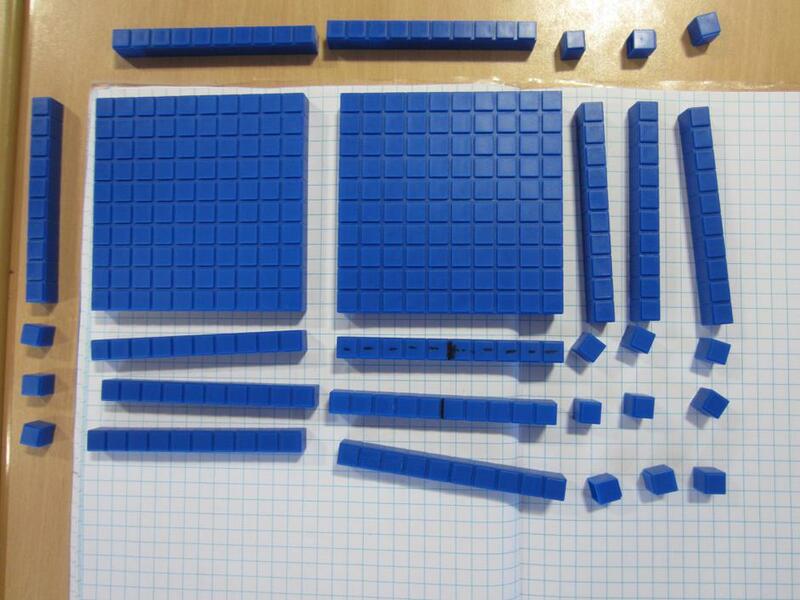 We learned a lot when we made models of square and cube numbers! Have a look below at our working walls to see some of the work we have been doing. This week, we have been investigating how shadows are formed and how they change in different circumstances. We had a fantastic lesson investigating shadows we could see on the playground. We also realised you can never truly catch your own shadow! We have also started to look at moral narrative stories, in preparation for writing our own narrative story based on 'Holes'. In Maths, we have been focusing on rounding to whole numbers and decimal places. This week, as well as being busy in English (writing persuasive arguments) and in maths (continuing with fractions), in Science, we have been investigating how light travels and why different objects are different colours. Have a look below to see some of the everyday fraction problems we created for our friends with objects in our classroom. What a fantastic week we have had. 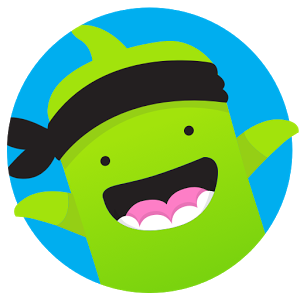 We have earned lots of positive dojos and we are really making our teachers proud. 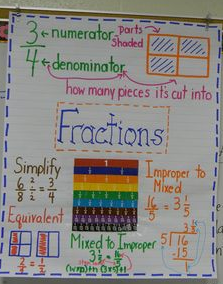 This week its been all about fractions! 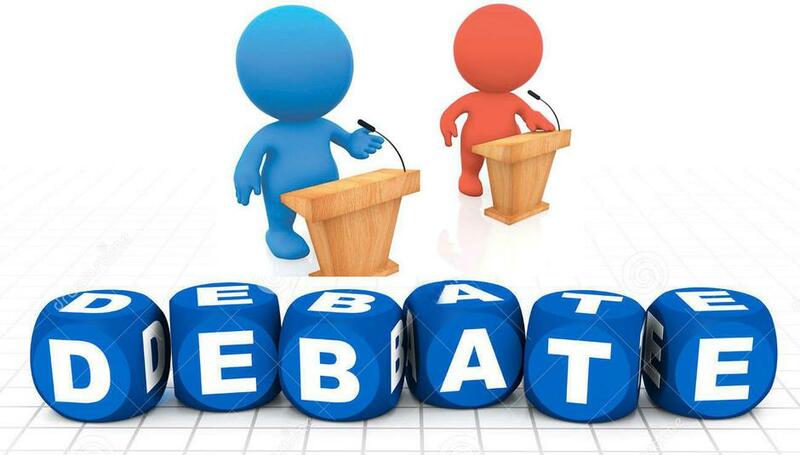 We have had a fantastic debate this week from the interesting topic that our class book Holes is teaching us. This week we have started our new text, 'Holes' by Louis Sachar. It is a story about a miscarriage of justice which leads Stanley to be sent to Camp Green Lake in the middle of the desert. In Maths, we have been reviewing place value. In Science, we began our new topic of light and shadow by creating human models of how light travels. This week, we researched Maya hot chocolate. We mixed spices such as chillis and cinnamon into hot chocolate in order to get an authentic Maya taste. We all enjoyed tasting the hot chocolate and really felt like we had been transported to Maya times. We have been learning about fractions and decimals in Maths. We have also been writing our own narrative stories, continuing with what happened to Bruno after he was turned into a mouse. This week we became the Grand High Witch from the text ‘the Witches’ and wrote instructions on how to turn Bruno into a mouse. 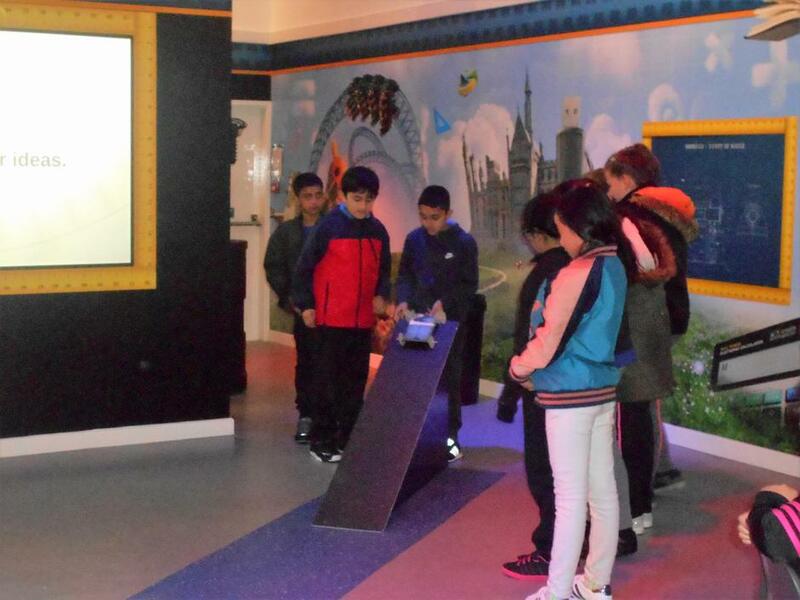 We were also lucky enough to go to Cadbury’s world. We had a fantastic time and very much enjoyed the delicious chocolate! We have had a lovely week learning about multi-step problems in maths. To start the week, we completed a detective mission in which we had to crack the code using our mathematical skills. We have also been writing a diary about some of Luke's encounters in 'The Witches'. In Maths, this week, we have been looking at place value. To do so, we set up a place value grid on the floor and became representations of digits. In English, we have been writing guides on 'how to spot a witch' based on our text 'The Witches' by Roald Dahl. We have been learning about Charles Darwin in Science and Mexican deserts in Encompass. 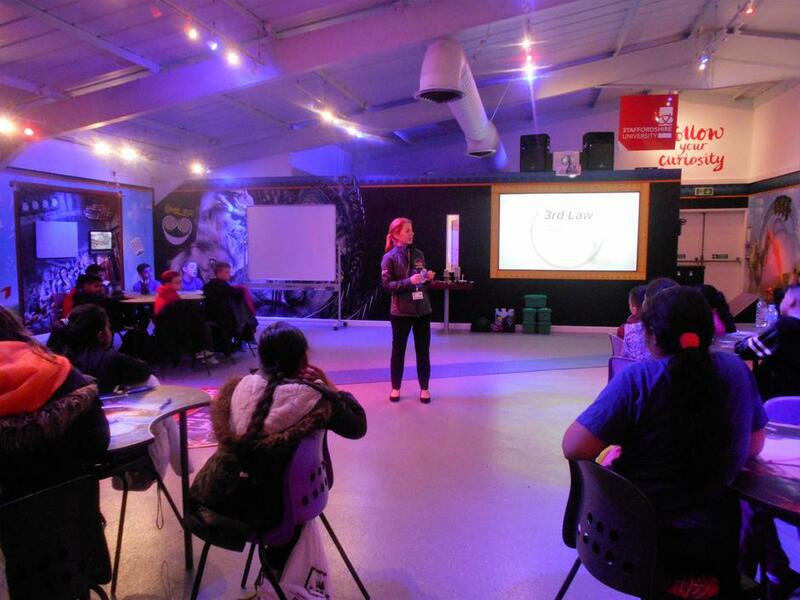 We were fortunate to take part in a fantastic opportunity called Game On learning and debating about British Values – and discussing misconceptions. In week 1 we had lots of lovely discussions about Year 5 expectations and demonstrating Waterside values. We discussed how we wanted our classroom to feel and came up with some rules together. We also had our first 'wow day' on our theme of Mexican fiesta. We attended a dance and music workshop, tried Mexican food and came up with our own recipes. As it is the penultimate week of school the children have been tested using the 2016 Reading and SPAG SATS. The children took on this challenge in an exceptionally mature way and did very well. Every single member of the class passed the SPAG tests and the children also did very well in the reading test. 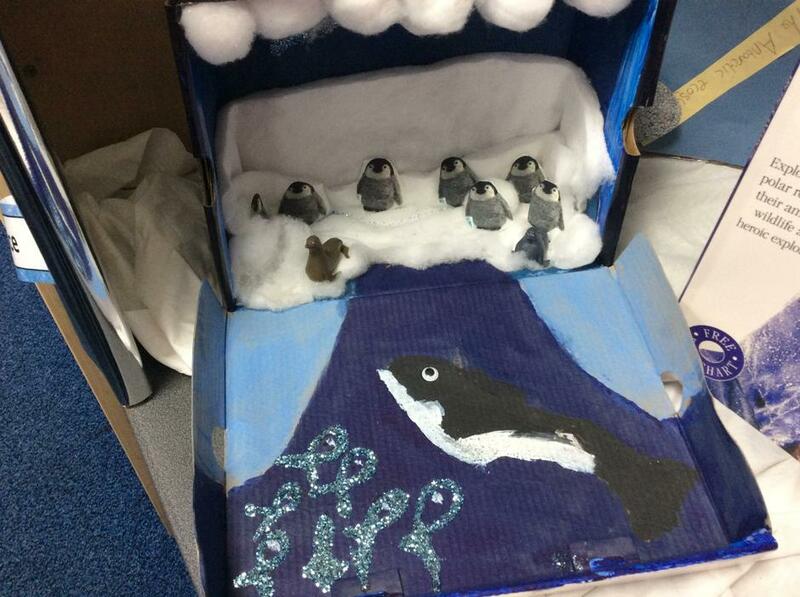 The children should be very proud of their work and increasingly focused on what they need to achieve next year. Inspired by our scream machine topic, the children have designed and started to build models of their own roller coasters. The variety of designs and different ideas on display shows the brilliant talents of these children in different ways. Next week we will decorate and complete our designs for the end of term. This week in English the children planned and wrote a story inspired by the short film Alma. The children planned their own endings to this story and spent the early part of the week sharing ideas and discussing different ways to end the story. The children worked hard all week to draft and re-draft their beginnings and endings. We are looking forward to publishing this writing next week. In science this week, the children have been investigating forces and air resistance. The children thought carefully about the variables involved in their investigation and how they could control these variables to create a fair test. 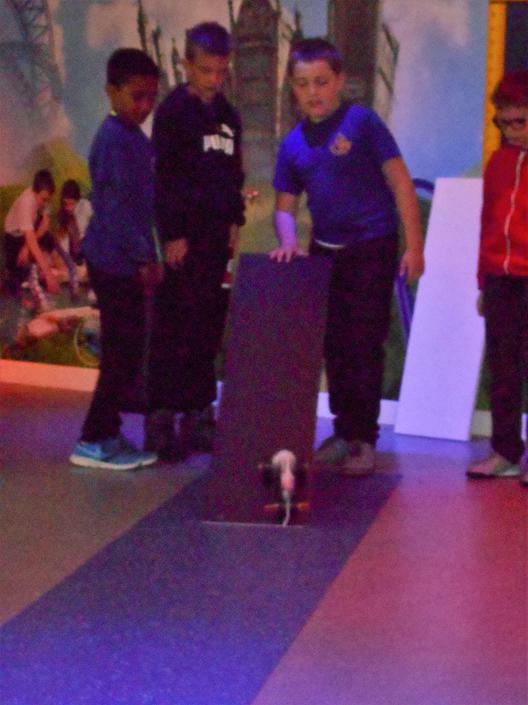 Each group took three measurements and used their year 6 maths skills to calculate the mean average so that they could increase the reliability of their results. Finally, the children used their results to draw conclusions about air resistance. This week was our final week before our end of year data was due. The children completed a mock sats test to see how far they have progressed with their learning and to identify areas for further improvement. 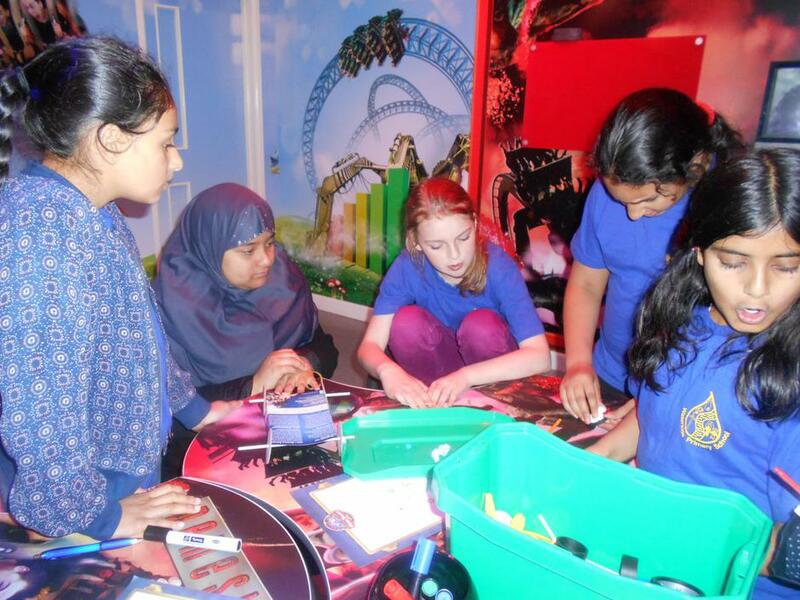 The children did very well under test conditions and applied their skills to the problems included in the test. Almost all of the children passed the test and achieved year 6 expected standard. This puts them in a brilliant position and with a whole year of learning ahead of them they should continue to make excellent progress. In English, the children published their final assessed piece of work towards their assessment. 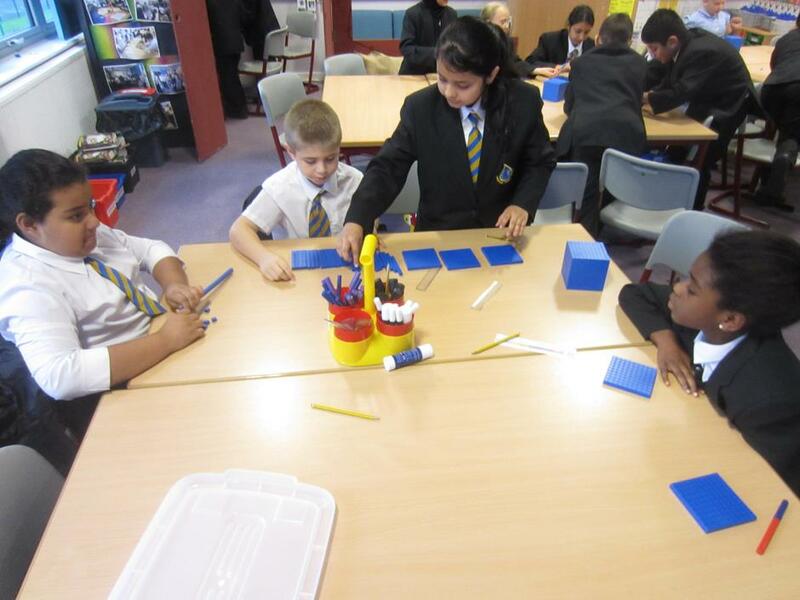 As with maths, the children applied their skills and showed great improvement over the work from earlier in the year. The writing, based on scary stories, showed a much greater awareness of composition and careful thought was put into the work to achieve the right balance of dialogue, action and suspense. 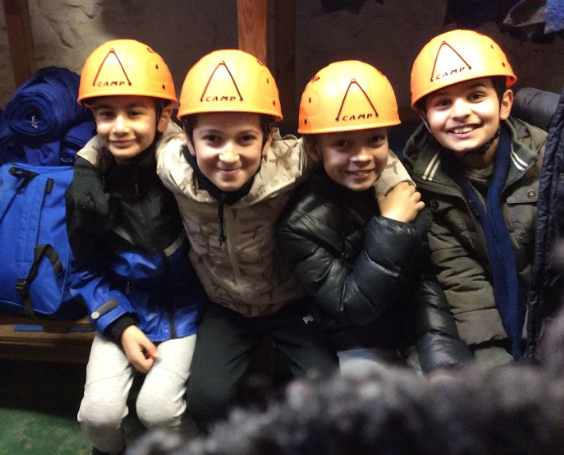 On Monday, year 5 went on a trip to the Conkers Outdoor Education Centre. 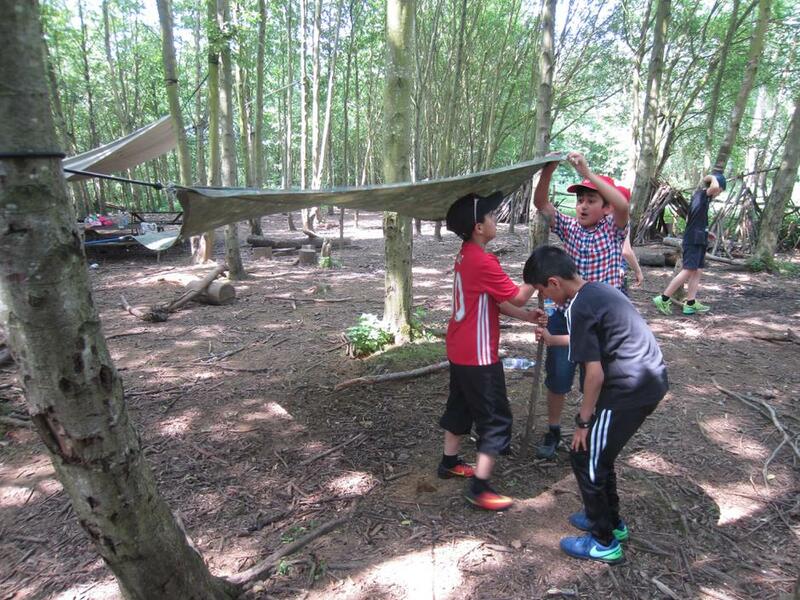 We took part in bush craft. 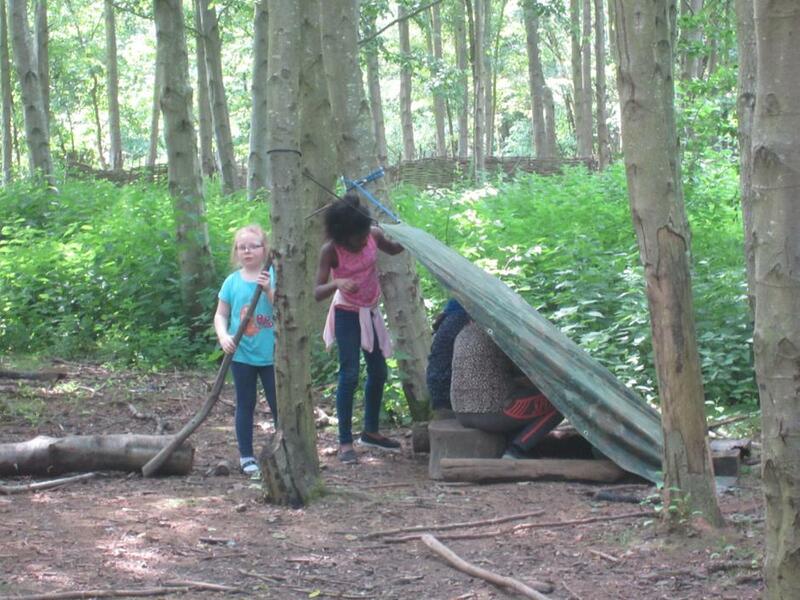 Children were challenged to build their own shelter with the items they could find in the forest. 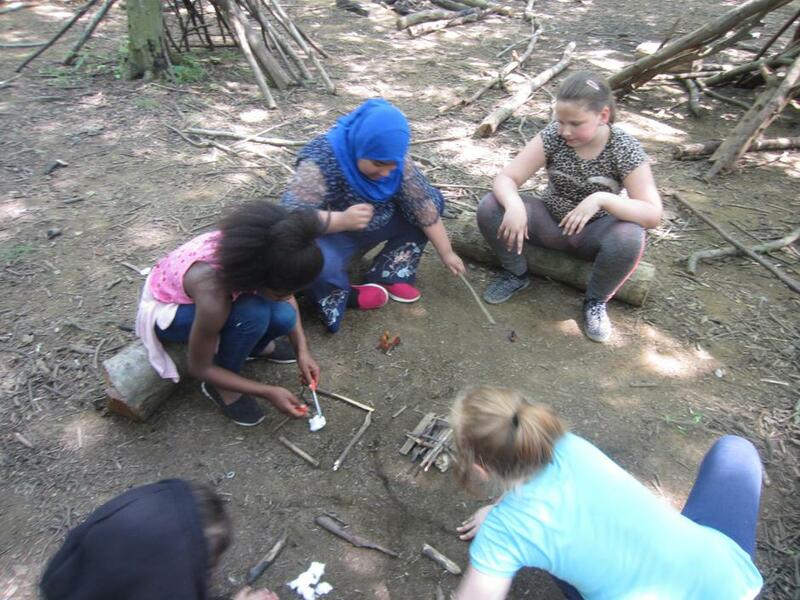 Following this, children built their own fires and lit them with flint and steel. 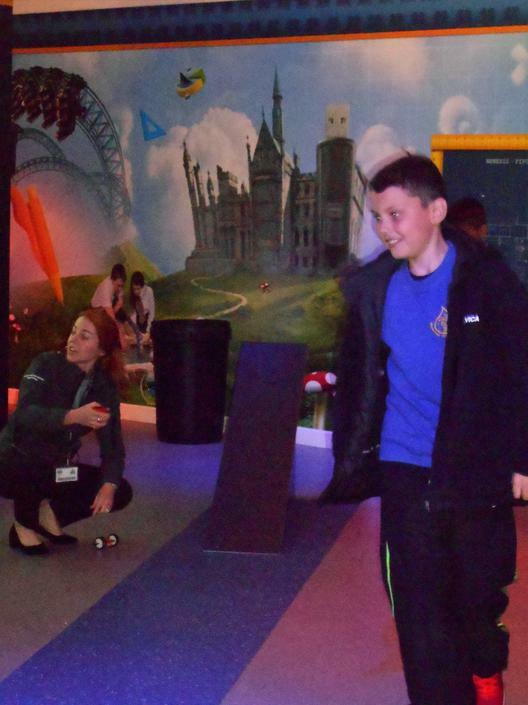 The children also explored the indoor exhibits and the outdoor play areas. 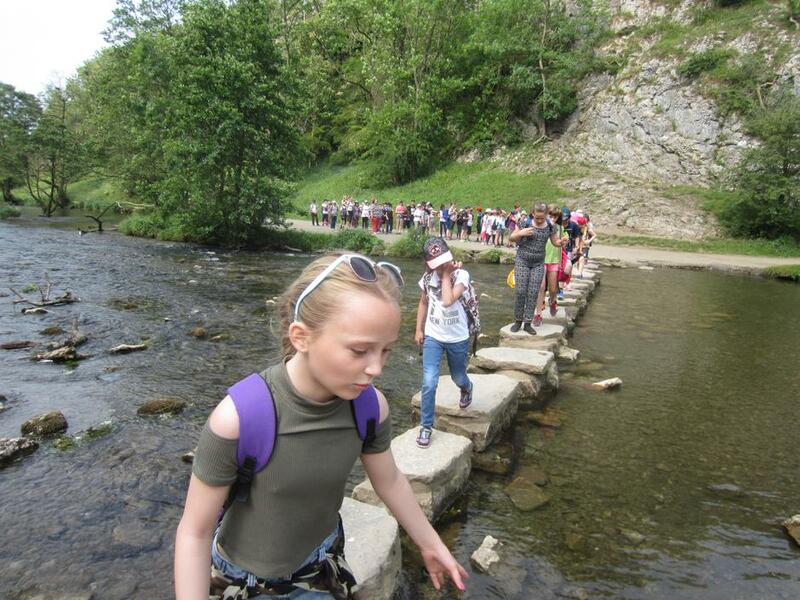 On Tuesday, year 5 and 6 visited Dovedale. 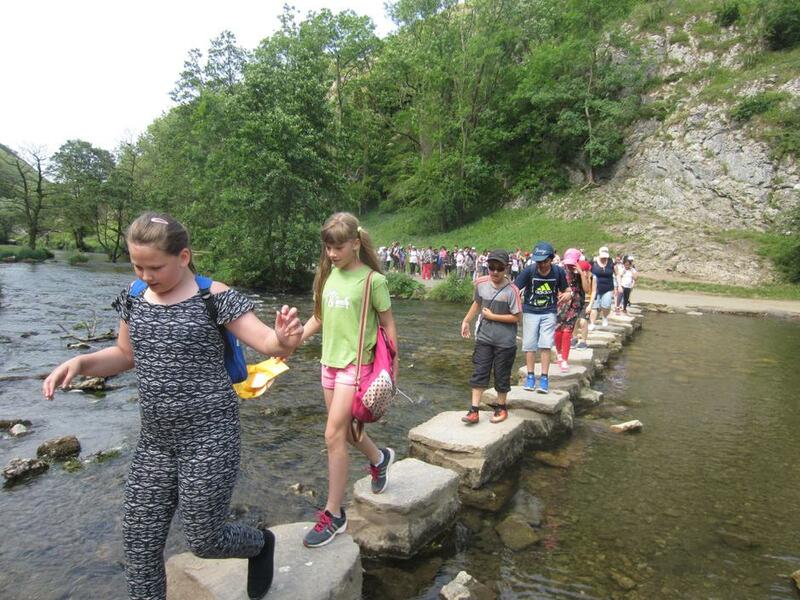 The children crossed the famous stepping stones and walked along the river dove to the caves where we had lunch before retracing our steps along the river. 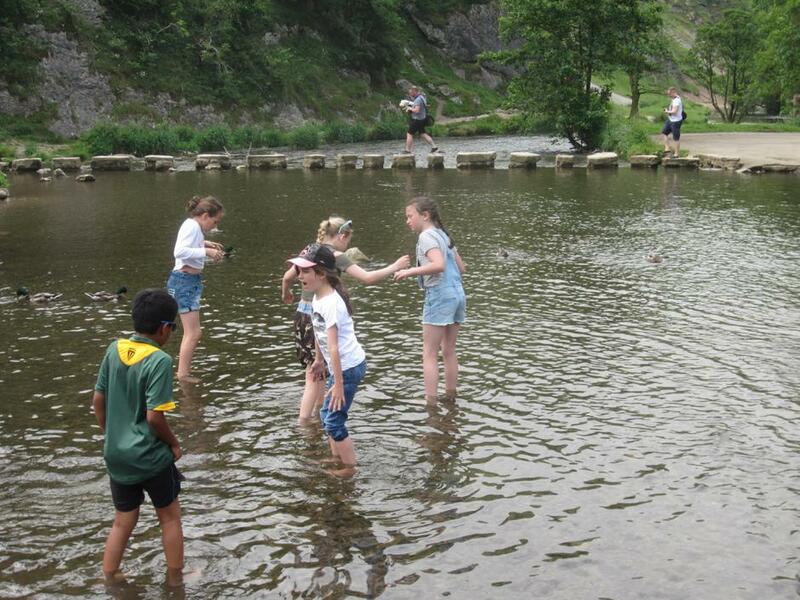 Some of the braver children paddled in the river next to the stepping stones. A highlight of this week, and for many of the school year, was our annual sports day. The children were divided into 4 teams and competed in a range of track and field events. 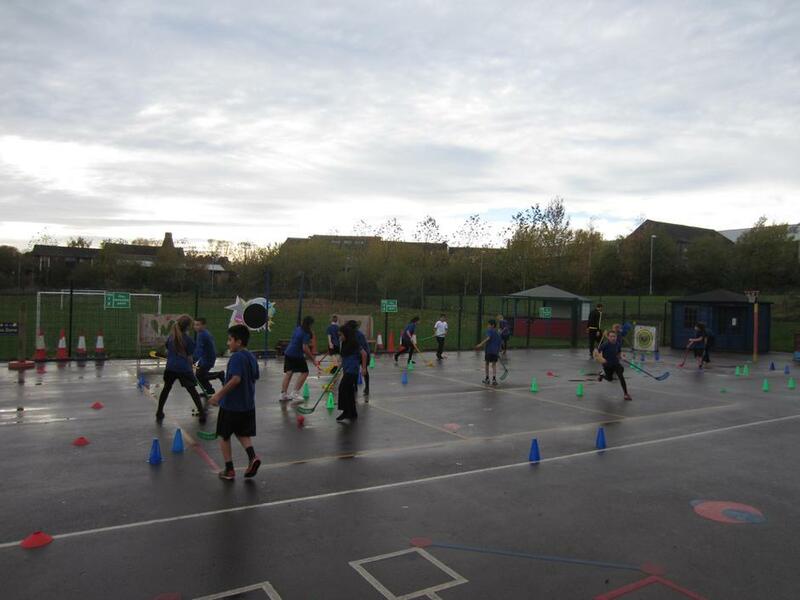 Members of the sharks class competed determinedly and all of the children had an excellent morning. It was also great to see so many parents of children in the class attending. 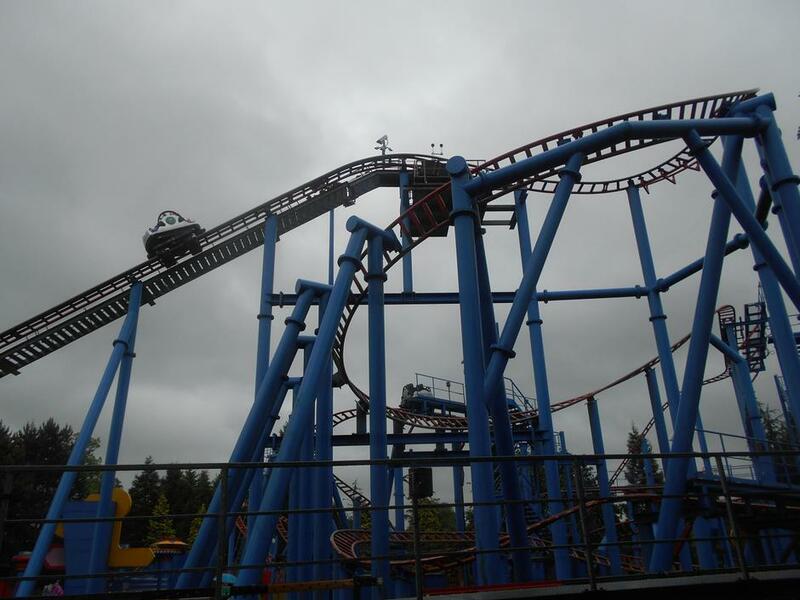 This week the children completed a piece of writing titled The Chained Oak Tree, inspired by the ride Hex at Alton Towers, and the legend surrounding it. Some excellent stories were produced by all of the children. Following our trip to Alton Towers the children have been debating and writing about the question of whether or not schools should go on trips to theme parks. This questions and the discussion surrounding it has also produced some brilliant and well balanced pieces of writing by members of the class. 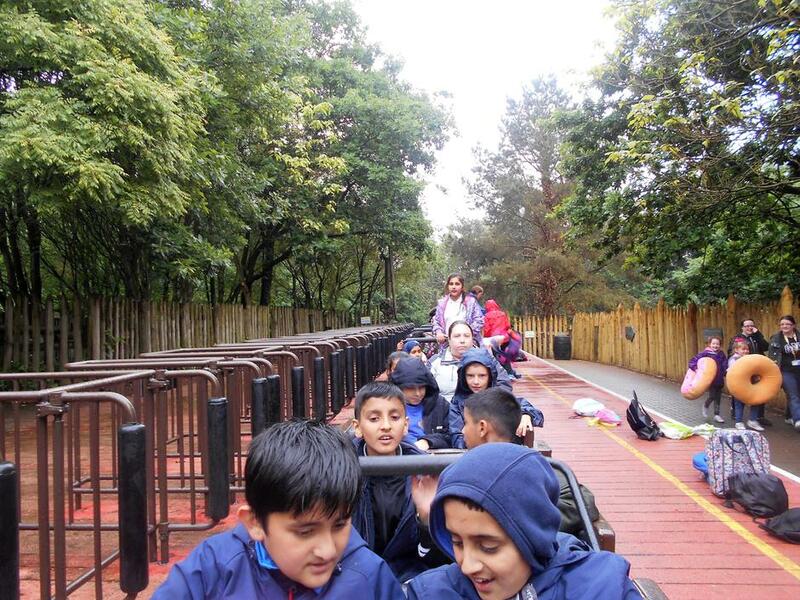 On Monday, the whole of upper key stage two went on our trip to Alton Towers. This was to introduce and inspire the children with our new topic 'Scream Machine' which we will be covering in Encompass Curriculum between now and the end of the school year. 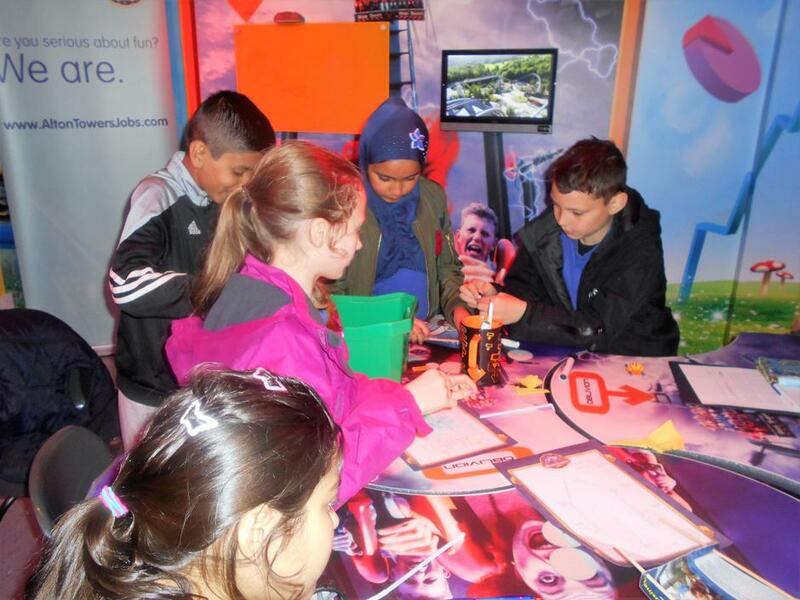 The children had the opportunities to experience different rides and also participated in a workshop focusing on sciences and forces. 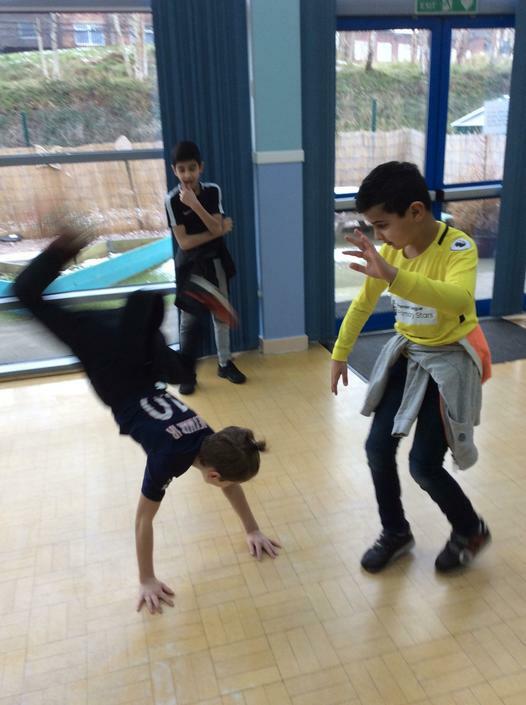 This was a great start to the new half term and the children were a credit to the school with their exemplary behaviour and positive attitudes. This week has also been health and well being week. Unfortunately sports day was postponed due to poor weather on Tuesday. 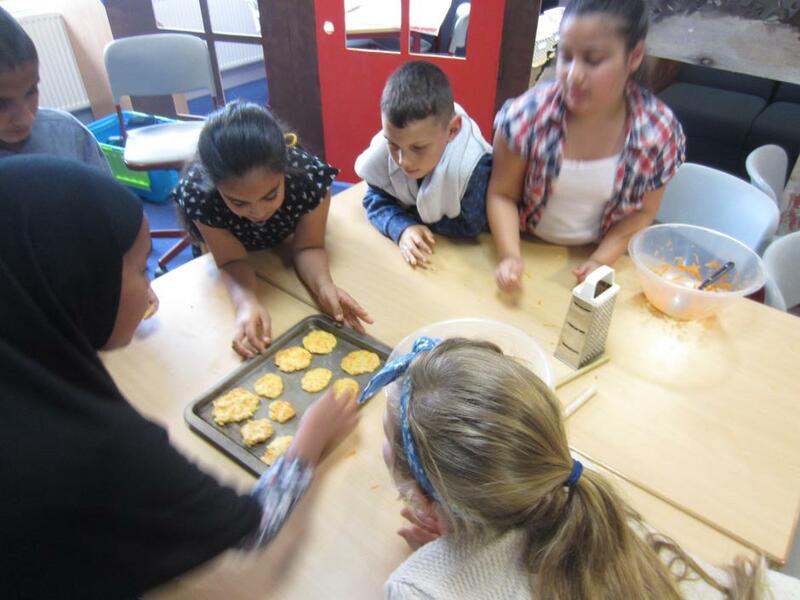 Despite this children were still given the opportunity to learn about and investigate healthy eating and different food groups. Sports day has been rescheduled for later in the term. This term in English we will be writing some scary stories. 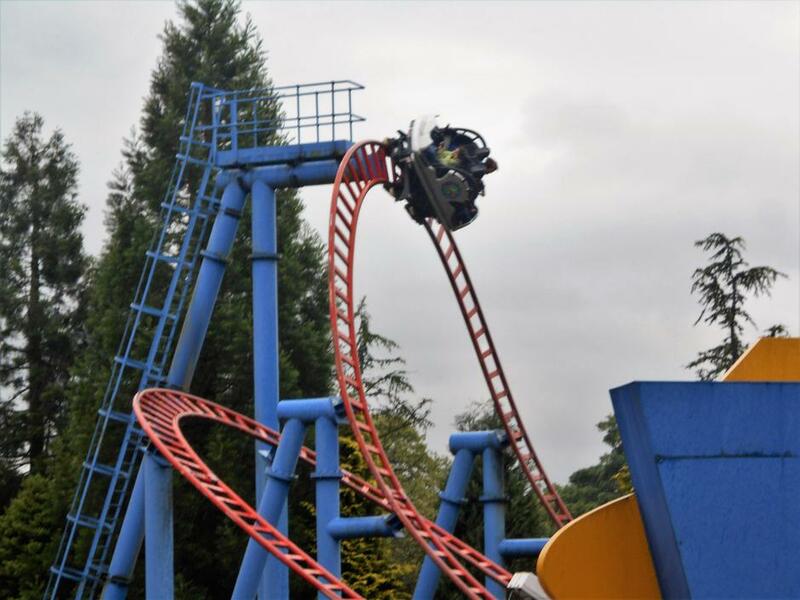 We were inspired by some of the rides at Alton Towers to begin writing our own version of The Chained Oak Tree inspired by the ride Hex and the real legend surrounding the Towers. This week in science we investigated separating materials. Children were given three mixtures (water and gravel, water and sand, water and salt). The children then investigated the different ways that these mixtures could be separated. The children started the week by publishing their writing from week 30. Their retells of Journey by Aaron Becker incorporated a range of year 5 skills and the children continued to show great improvement with their composition. This week we continued to solve problems involving measure. Children used concrete manipulatives to investigate and estimate volume. We have also continued to work hard in our arithmetic lessons. This week we completed a year 6 arithmetic paper for the first time and over half of the children achieved the year 6 national standard. Three of the class also achieved greater depth at year 6 arithmetic. 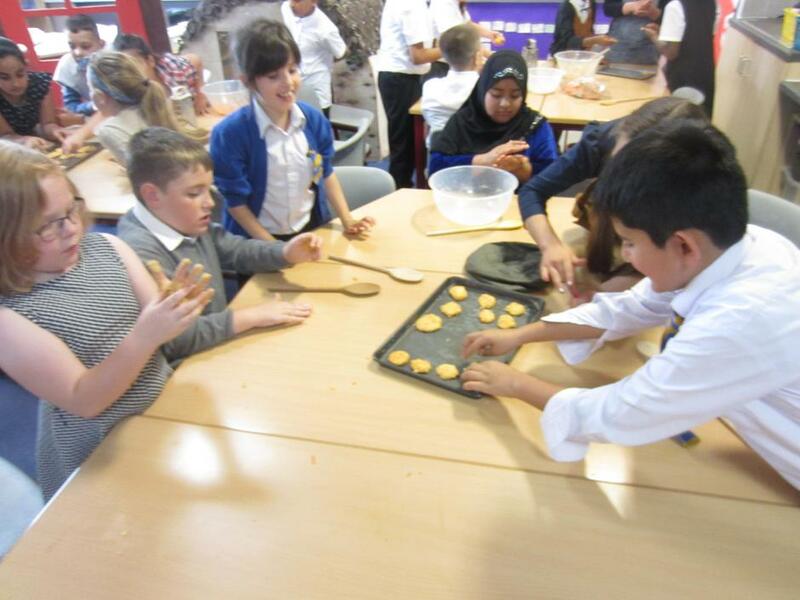 We will continue work hard towards the end of the term so that as many children as possible can fulfil their potential and be in the best possible position for the start of year 6. This week in science the children investigated changes of materials. Children added water to 'crystals' from Alchemy Island to see how they would change. 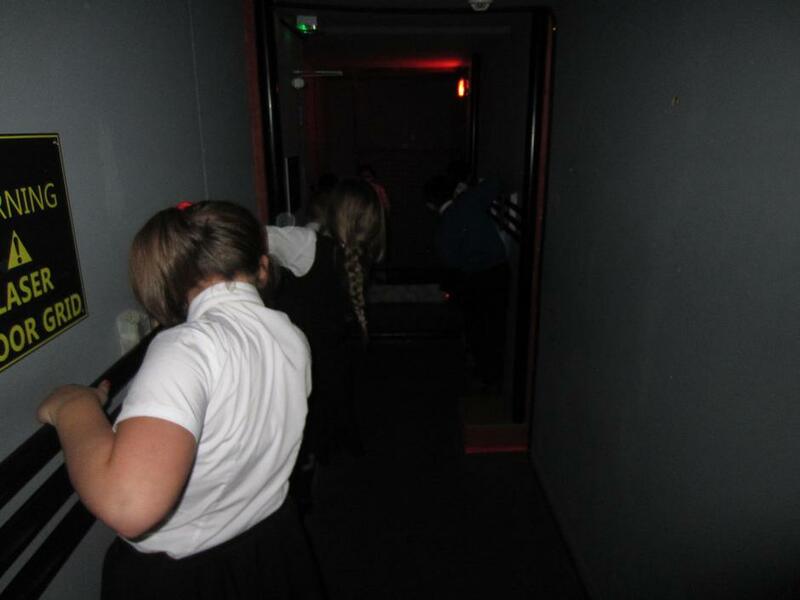 The children measured the size of the crystals at the start of the investigation and then at regular intervals. This data was then recorded as a table and a line graph. The children used their data and graphs to make conclusions about the changes in materials that had taken place. This week we have been re-writing Journey by Aaron Becker. The children have adapted the events from the story to create their own fantasy stories set in the imagination of the girl from the book. Next week we will innovate our work to create a sequel or alternative story set in Alchemy Island. 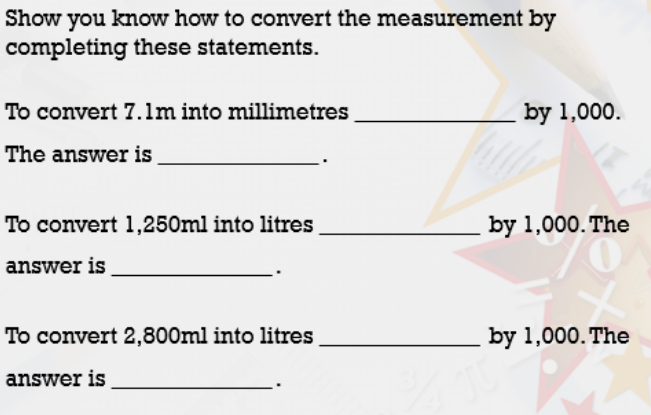 This week our learning in maths has focused on measure, perimeter, area and conversions between different units of metric and imperial measurements. After two weeks of planing and designing our board games the children began to create their boards this week. We will continue this project next week when the children will be adding the final details to their plans. It has been a short but extremely busy week for all of the children in Sharks Class. This week the children have continued to work hard in our arithmetic lessons. We are covering different areas of the curriculum where misconceptions have been identified. In just two weeks the children have improved their test scores significantly and many children are now ready to move on to year 6 level tests. We are looking forward to more improvements over the coming weeks. This Thursday we completed our first published write of the term. The children worked extremely hard for the first two weeks to produce some excellent setting descriptions setting the scene for our narrative stories in Alchemy Island. Our DT project this half term is to create a board game inspired by Alchemy island. The children have approached this task enthusiastically and there are lots of brilliant game designs and ideas in development. Next week we will be creating the boards using some of our art skills form last term. It has been a hectic start to the summer term. We have dived straight into our new topics and the children are excited to find out more. 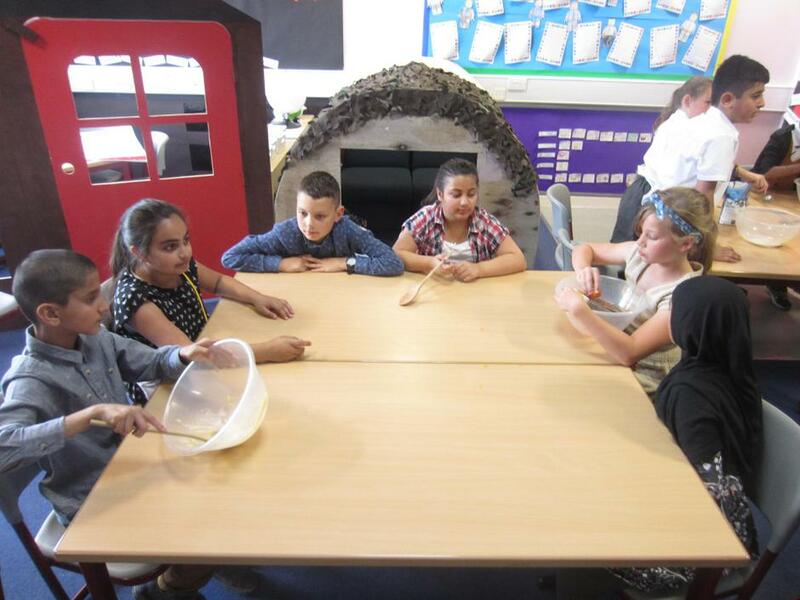 On Monday, the children took part in an Alchemy Island Wow Day. This will be our topic for our English this term. It will also provide cross curriculum links to our encompass. 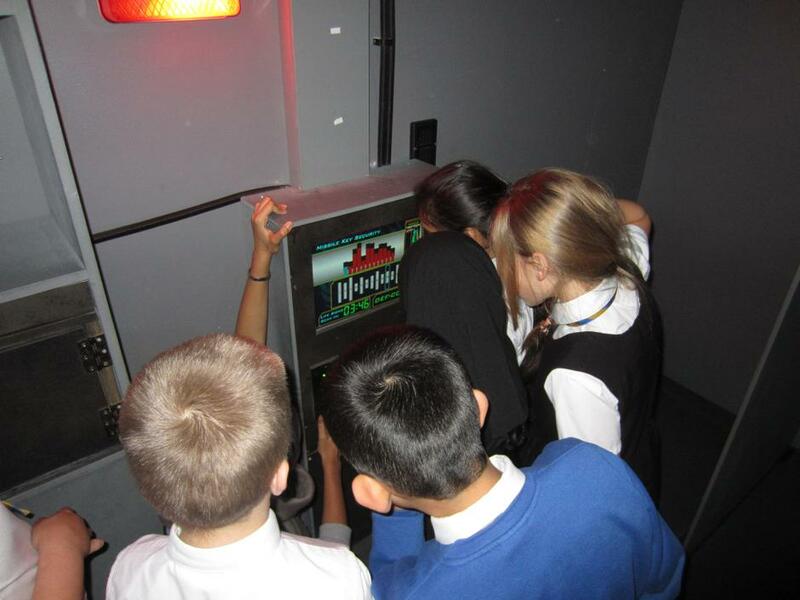 The children will be finding out all about Alchemy Island through geography, science, computing and music lessons. We will also be working on a DT and Art project to create an Alchemy Island themed board game. Our Wow day included a riddle from the alchemist which needed to be solved. This riddle contained clues for the children to work out where on Alchemy Island our journey would begin. The children then spent time exploring the school grounds looking for potential portals to Alchemy Island. These pictures where put into keynote or powerpoint presentations. To finish our wow day the children write a setting description describing Alchemy Island and composed a short soundtrack to their journey through the portal to Alchemy Island. In our first science lesson of the term we investigated the properties of materials sent to us from Alchemy Island by the Alchemist. 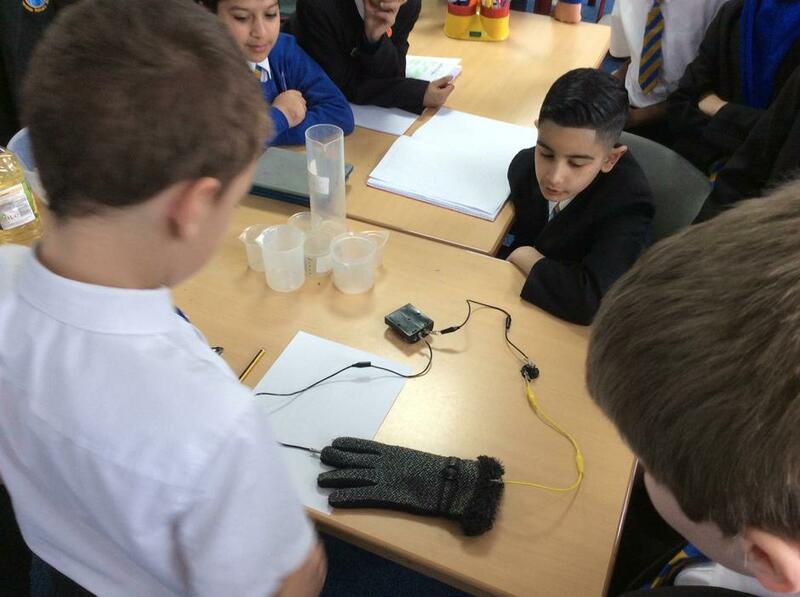 The children investigated the durability, transparency, conductivity and solubility of a range of materials. Now that we have finished swimming, the sharks class will be back to normal PE lessons in school. Our first PE lesson took place on Thursday. Our new topic is football and the children enjoyed a great introduction to this topic. It was great to see the children listening to feedback and doing their best to find space on the football pitch and show good team work by passing the ball to team mates. This was our final week of swimming. The children did their final swimming tests. It was brilliant to see lots of children reaching new achievements and improving on their performances at the start of term. Well done to Malaika who achieved her proficiency award after lots of hard work. Many other children achieved their beginners and length awards. This week in English we published a final piece of fictional writing based on Varjak Paw. The children have made lots of progress this half term with their composition. We have also started working on another discussion text also inspired by the events in Varjak Paw. This week in maths we have been continuing to work hard on developing our understanding and reasoning of fractions. Some children have been attempting to prove their understanding by creating keynote presentations in response to reasoning challenges. 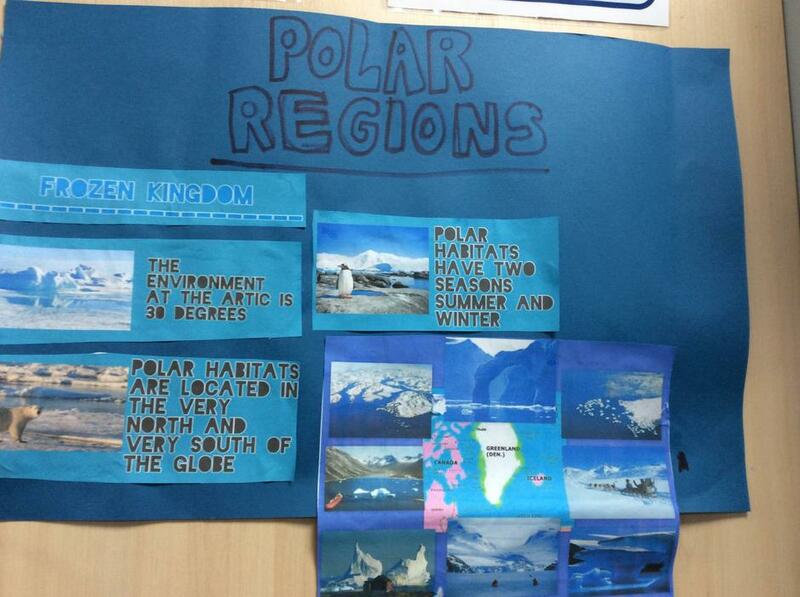 This week we have been creating an advertising campaign to promote the protection of Polar Bears. The children made a keynote presentation, a poster, a radio advert and an iMovie. We also planned a piece of writing for next week using our year 5 compositional and persuasive skills. This has been a very busy week for the sharks class. On Monday we had swimming as usual, the children are continuing to work hard towards their next award or achievement. On Wednesday it was our class assembly. We also had parents visiting our class in the morning. All of the children are looking forward to Friday when there will be opportunities to take part in various activities and events for red nose day and mothers day. This week at swimming sharks class had further success. Ameera successfully completed her beginners award and there are many other children who are now incredibly close to this milestone. Awards this week were given to Muskaan for her consistently positive approach to school work and to Lily for producing a superb piece of published writing based on the book Varjak Paw. This was another busy week for the children in sharks class. The children continued to do well at swimming as more and more of them are achieving their beginners certificates including Aisha, Chloe and Charley. The more advanced swimming group are also doing well including Yumeth who achieved his length award. This week the school re-introduced weekly awards for children showing school values and producing exceptional work. This week these certificated were awarded to Charley and Mika. Both of these children have shown great improvement. Charley in her swimming and Mika in her attitude towards her work, which has improved brilliantly. This week at Swimming several children achieved their beginners award and length. This shows continued progress from children at all levels and is very pleasing to see. This Thursday was world book day. Throughout the day the children spent time taking part in a range of reading activities. We read several chapters of our new class text, Varjak Paw. Later, we recreated chapters and scenes from these chapters using drama. These freeze frames were then used to create a slide show on the iPads which the children then shared with the rest of the class. This week at swimming the advanced group were doing races using front crawl and backstroke. The beginners group started swimming full lengths of the 25 meter pool instead of widths as they continued to make brilliant progress. 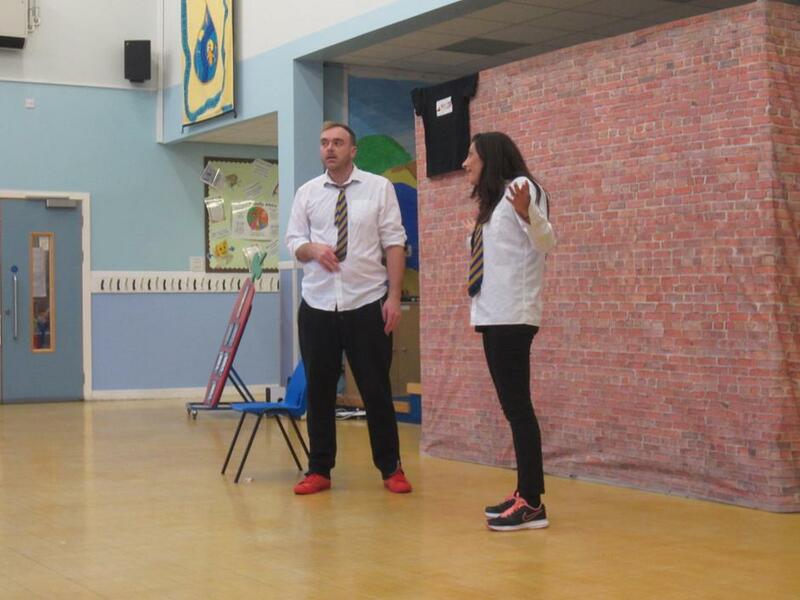 The performance we watched on Wednesday was about E-safety and staying safe online. There were 3 actors in the show. All of the children are looking forward to golden time this afternoon. This week we had the rainbow readers assembly for this half term. Lots of members of the sharks class were awarded the yellow badge for continued reading. Two members of the class, Arshia and Aadam, were awarded green badges for reading 125 times. Swimming, which was incredibly fun, helped us to learn more new skills. We learnt a new way of swimming which was with 'frog legs' for breastroke kick. At the end of the lesson we were jumping in and diving through the water to retrieve objects. The half termly maths assessment is an assessment we do every half term to see where we are with our maths skills. We have now covered almost all of the year 5 objectives at least once. This gave us an opportunity to show what we have learnt. 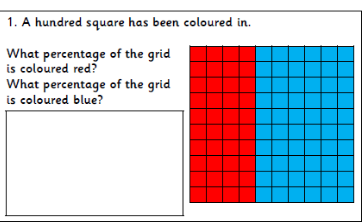 Once we finished the first maths assessment we had a choice between a greater depth assessment on either geometry or measure. 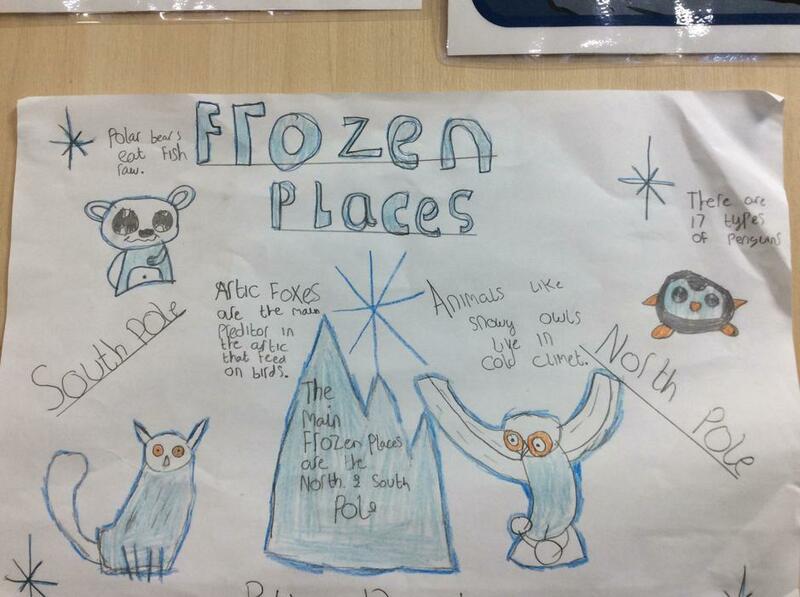 In science, we began to write a non chronological report about arctic animals or creatures. For example arctic wolves, caribou and many more. We worked hard to include lots of features in our writing. We used ipads to research the animal we had chosen to help us write our reports. With our information we wrote our facts down in a mind map in our science books before writing our report. Some children also did some research at home to help write their report. This week has been e-safety week. We have learnt about the risks of pop ups on computers and how we should be careful not to click on these. We also discussed the importance of staying safe on line. For example if someone puts a photo of us online we should talk to that person and ask them to take it down. In addition to this, we have talked about the importance of using passwords on online accounts and using different user names for online games to protect ourselves. We discussed about not putting our actual faces for profile pictures on apps or games to also hep protect ourselves online. On Tuesday, we had somebody from the Police force to help us to stay safe online. We watched a video clip about an older adult grooming a ten year old child. We had opportunities to discuss the events in the video and the potential dangers inlcuding the use of phones and the internet. We also spoke about ways to stay safe in different situations. This video is available to watch on youtube if you are interested. On Monday afternoon, the shark class went swimming. We learned a new skill, swimming backstroke. The more advanced group were given floats to practice their leg kick and then focused on their arms. The beginner group picked up where they left off last week. Some members of the class made great progress and no longer need a wogoll to swim across the pool. On Wednesday 1st February, we went on a trip to Macclesfield Forest which is in the Peak District and it was a touch walk for all of us. Our challenge was to climb a tall hill that went up into the clouds. Thee focus of this trip was to gain inspiration for a piece of writing. Along the way, in our notebooks we had to write a story by numbers which about the things that we saw as we were walking through the forest. The conditions were very challenging, it was misty and cold. It was extremely muddy and steep and some of us slipped as we made our way up the hill. Unfortunately, we could not go up to the top of Shutlingsloe due to the low visibility caused by the mist. 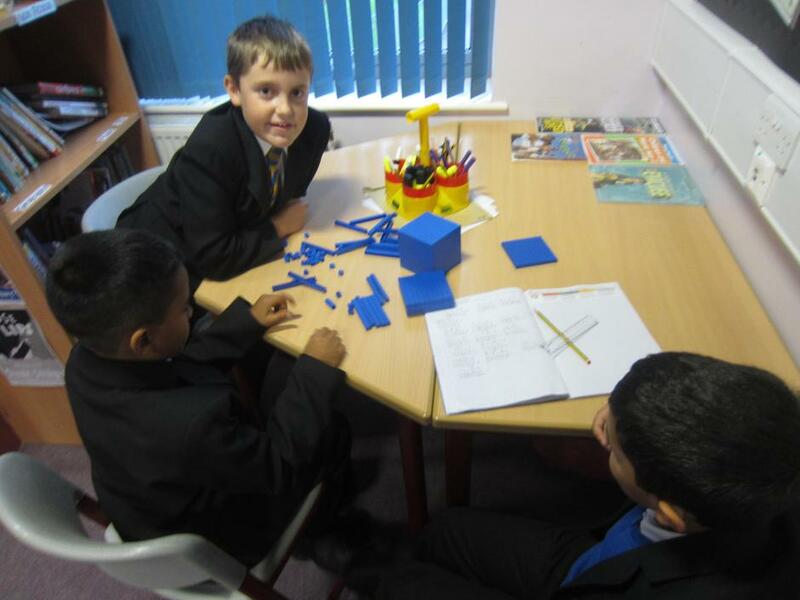 Friday was NSPCC numeracy day. We each bought in a pound for the charity and to help raise money for some more maths resources in school. 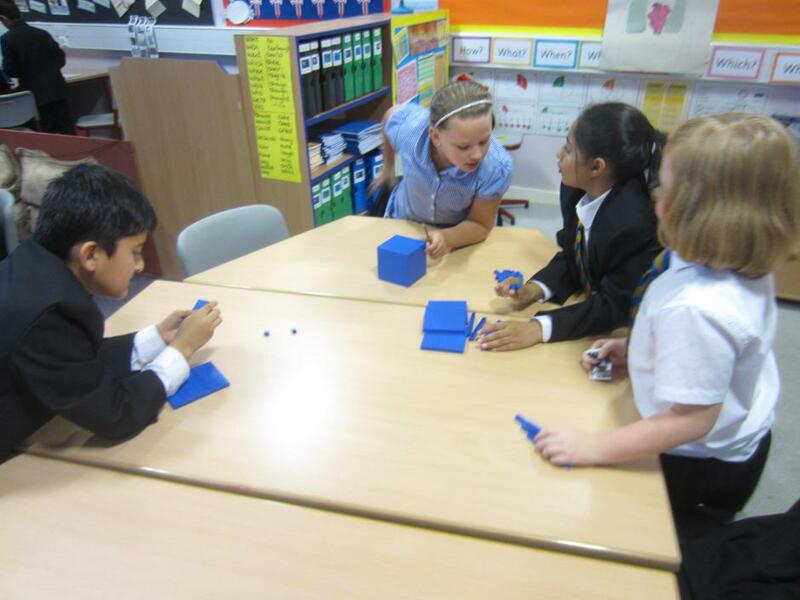 Throughout the day we took part in lots of maths activities. We began by reading the book, 'At the same moment all around the world'. This lead us to some work about time zones around the world. This week we went swimming for the second time at Fenton. The class was split into two groups. The beginners group went into the deep end, where the children made great progress and built up their confidence in the water. The other group, who were swimming without support, stayed in the shallow end, where they swam in a variety of ways including with floats to practice their leg kick. Next week the children are looking forward to working on their backstroke. On Monday afternoon, it was our first day of swimming. 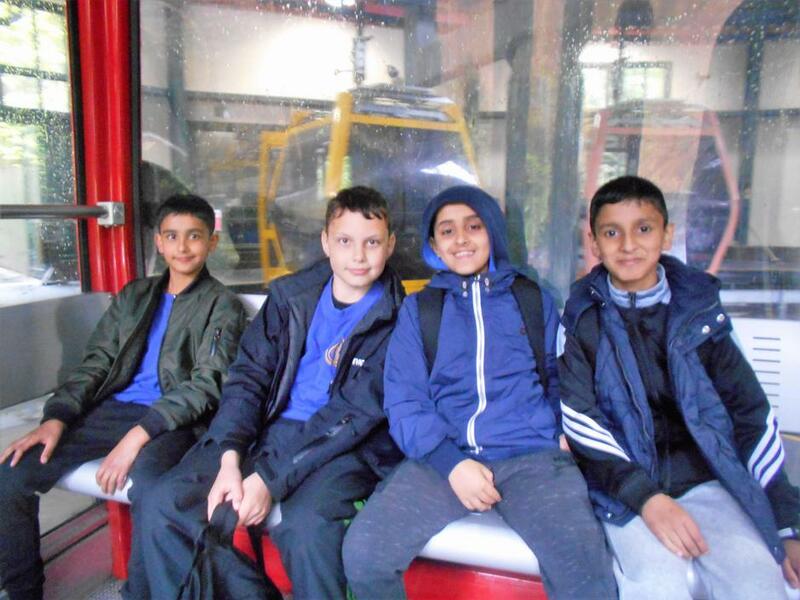 At swimming, which was at Fenton Manor, we learnt all of the safety procedures and rules of the swimming pool before beginning. Due to the fact that it was our first lesson, we began with a quick swimming test. Two members of the class achieved their Beginners award. Well done Lily and Owen for this achievement. The exercises that we did for the rest of the lesson helped people with less confidence to feel more comfortable in the water. We are all very excited for our next swimming lesson on Monday. On Monday we did not have our usual routine. We spent the day learning about different religions. Our class focused on Judaism. In the morning we had a special assembly where two members of staff discussed the different types of religions and we found out that there are over 730 religions in the world. We also did some work about our own cultural identities. On Monday morning, the school was evacuated due to an emergency. All of the children lined up outside the school and walked to the church hall where we spent the morning. Everyone behaved exceptionally in a difficult situation and we made our way back to school after break. On Wednesday afternoon, the whole school had a surprise in the hall. This surprise was a pantomime of The Snow Queen. It was about a girl who was playing with her friend and he got lost and was taken by the Snow Queen. It was all about the quest to find her friend. During certain scenes there was a dancing crow and the children were encouraged to join in. 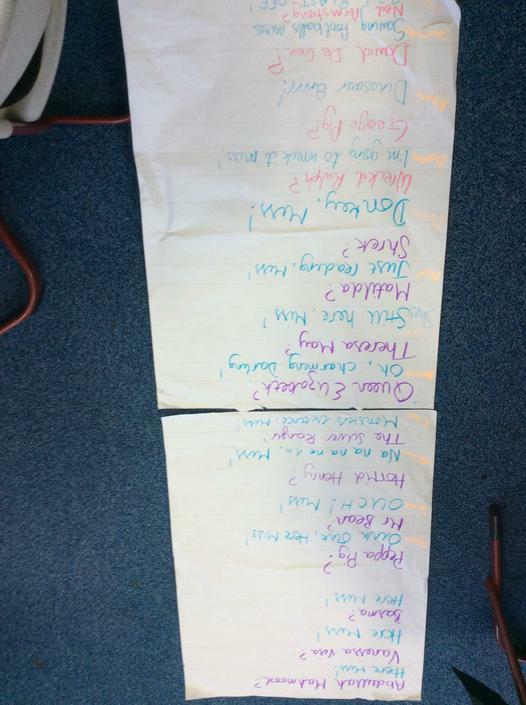 The children in our class have written our own reviews of these performance and these will be attached to this blog. Everyone in the class had to design a gadget that could be useful in a spy story. We designed the gadgets to look like everyday objects that a child might carry with them. This project was inspired by chapter 6 of the Alex Rider book - Stormbreaker. 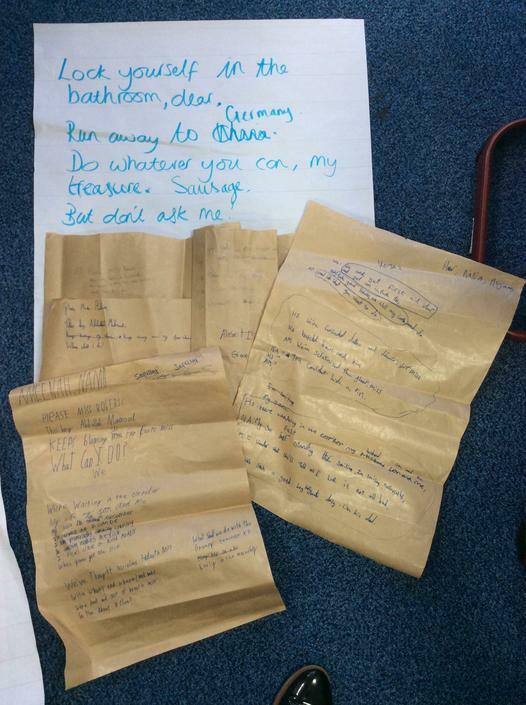 During the next lesson we planned and wrote a story about spies using the gadget as part of the story. 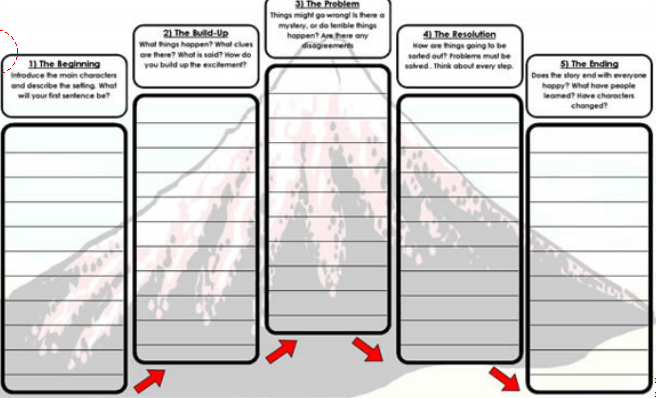 We planned our stories using a story mountain. In our plans we included our gadget as part of the resolution to our story. 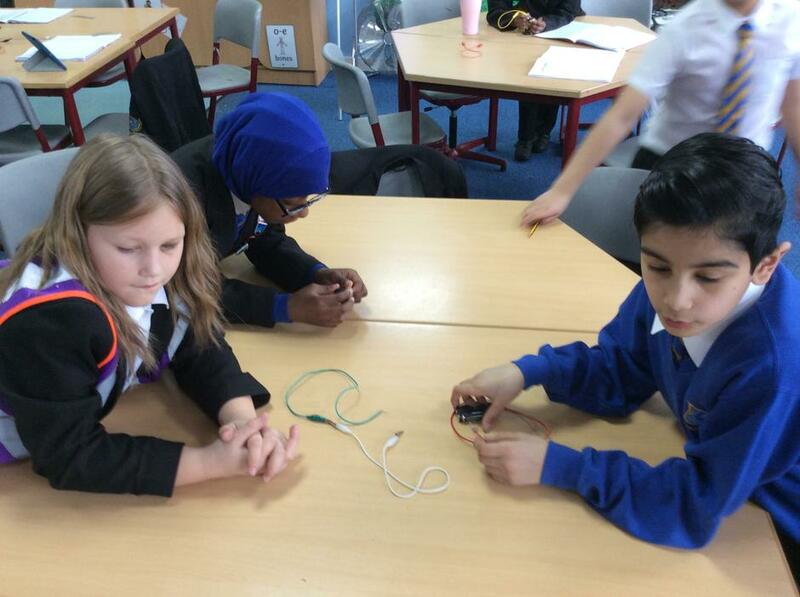 In our science lesson this week we were writing instructions about how to make a circuit with extra components. 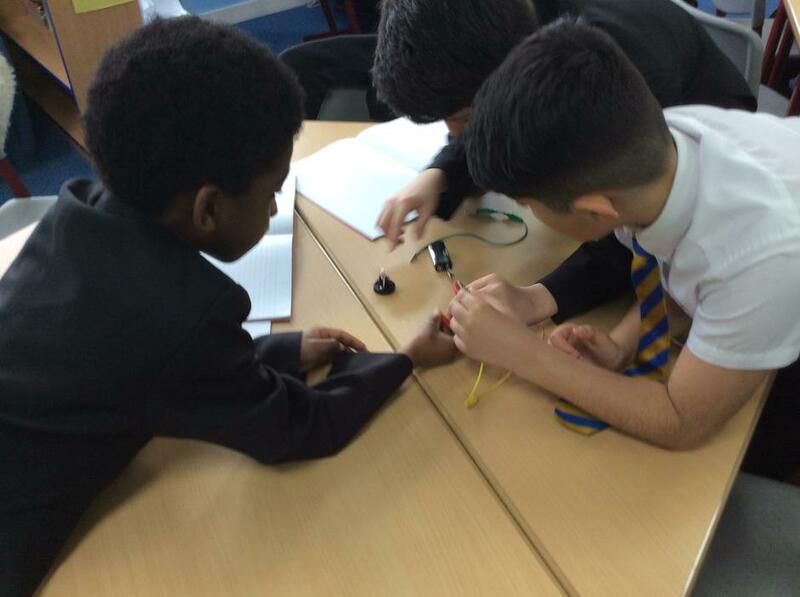 Firstly, used a selection of components to create different circuits. We then created a first draft of our instructions including the different features of instructions. In our English lessons this week we began to read a new text called 'Tom's midnight garden'. We began this week by writing setting descriptions describing Tom's garden. 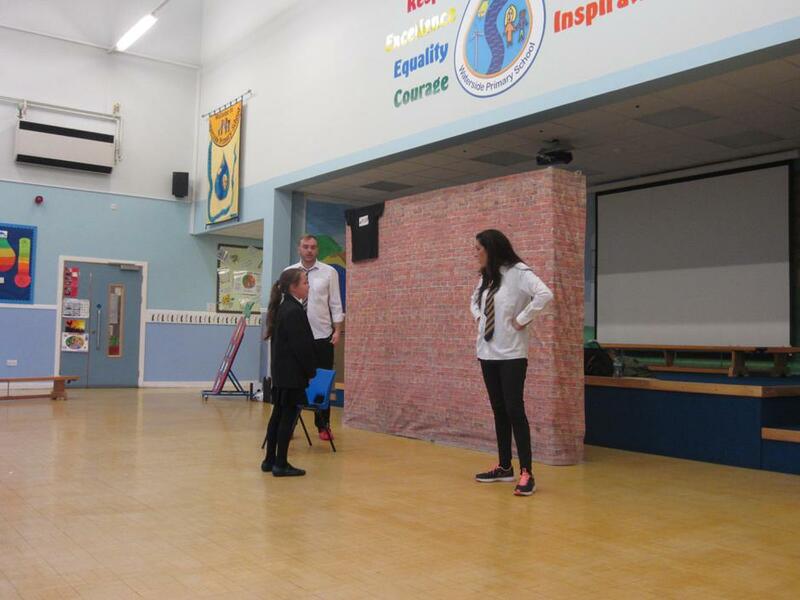 On Thursday, 8th December, KS2 had a rehearsal for the winter production which will take place next week. All of the classes went to the school hall for practice. The production will be based on the theme from the snowman. Each class performed their own song on stage. We have also been practicing our song in music lessons with Mrs Barker. We had some actors from our class who act out part of the song and also have solo parts in our performance. We made a light bulb dimmer. 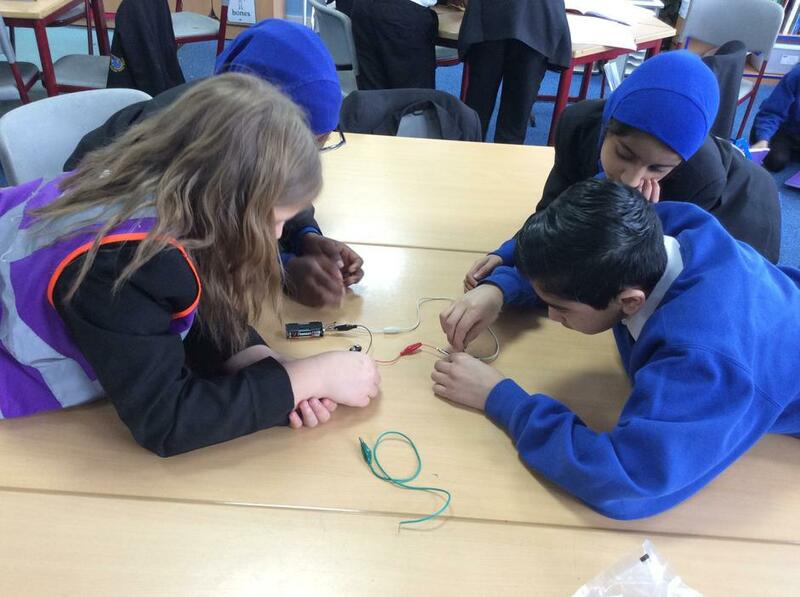 We added components to a circuit to create more resistance which caused the bulb to dim. To turn the bulb on and off we used a switch and pressed it ourselves to test! As a team in our table groups, we used our school values:Friendship, Respect, Determination and Excellence! 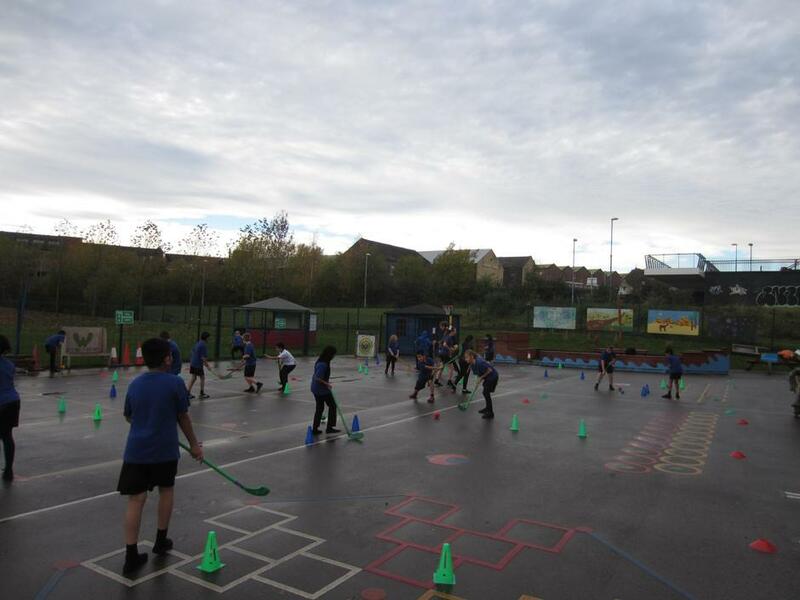 HOCKEY......During PE this week we have enjoyed practicing the sport with Tom, our BEE ACTIVE coach ,trying to improve our dribbling skills. Afterwards we had lots of fun playing matches in teams of four. During our maths assessment based on fractions, we found them quite a challenge. However, after lots of practice and determination we improved our knowledge and ability to answer questions correctly. We are super proud of ourselves! We cant wait to tuck into a delicious Christmas dinner and of course popping our crackers!!! Lots of coloured hats and jokes we're sure will have ourselves and our teachers giggling the afternoon away. This week, on Wednesday 30th November, we had our class assembly, which was about the re-introduction of wolves to the UK. We discussed the different arguments and pupils from our class wrote their own poems and read them out at the end of the assembly. We presented our research in small groups of 4 or 5 and we spoke about different animals being re-introduced to England and Scotland. These animals included the moose, the lynx, the pine marten, the wild boar and beavers. In science, we did an experiment to see if a lemon could be used to light up a lightbulb. We gathered some lemons and other equipment we needed. This included copper, nails, wires and bulbs. First, we put the copper into one side of the lemon. Next, we put the nail into the other side of the lemon making sure that the copper and the nail did not touch. 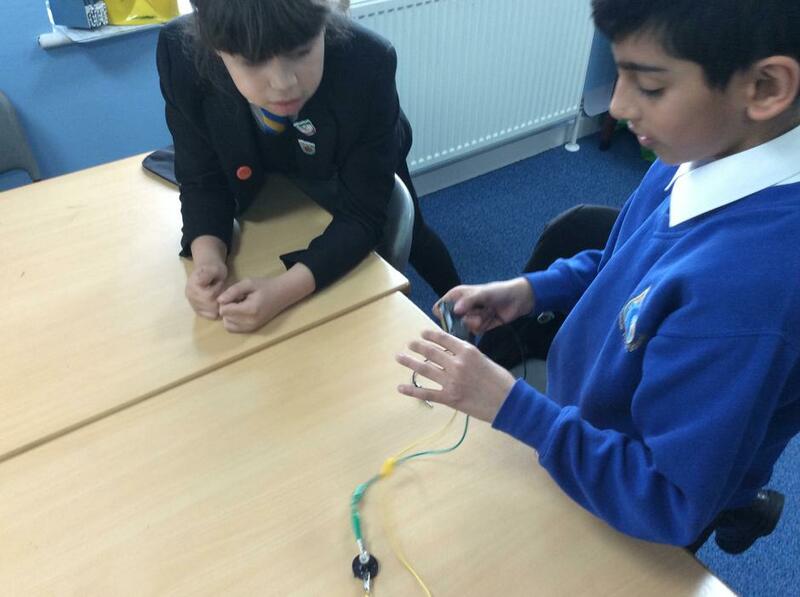 We then used the wires to create a circuit connecting the bulb to the lemon. Unfortunately, we were not able to light the bulb using the lemon in this way. On Monday, we did PE but unfortunately our PE teacher was ill so we did PE with Mr Bevan. We learned some dribbling and passing skills. Then we played a game to put these skills into practice. This week has been anti bullying week. We have been focusing on creating posters about the different types of bullying. These posters were made using the class iPads. Children utilised the templates in the pages app to create professional looking and persuasive posters. In addition to these posters the children also used keynote to create a presentation about the reasons why people bully. 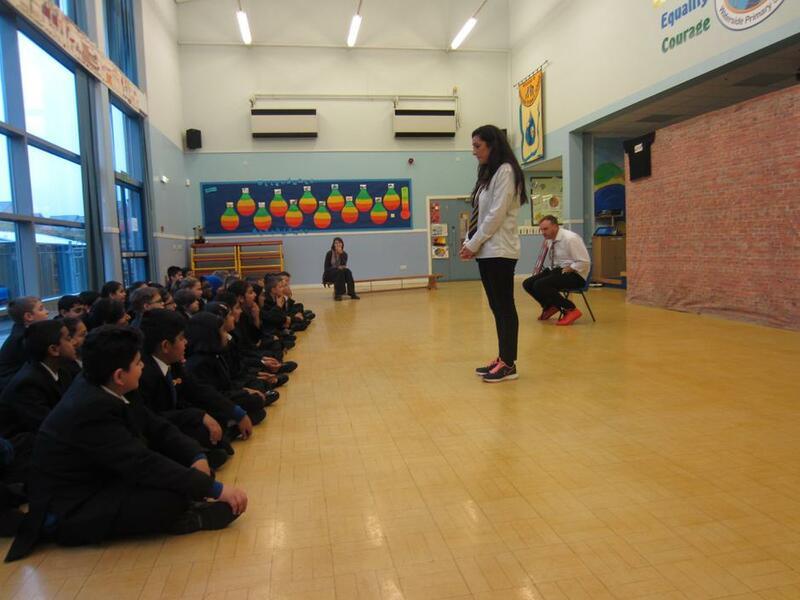 At the start of the week the children took part in an anti bullying workshop. 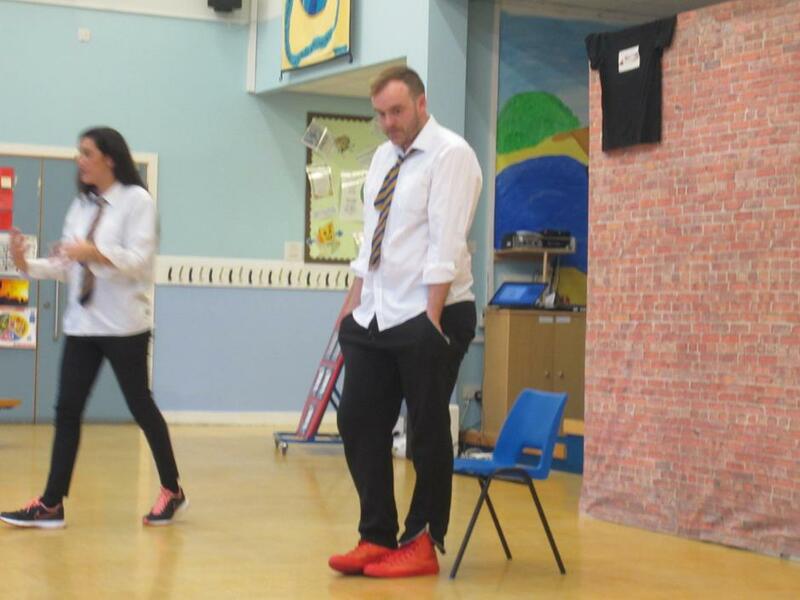 The children observed a number of bullying scenes performed by actors. 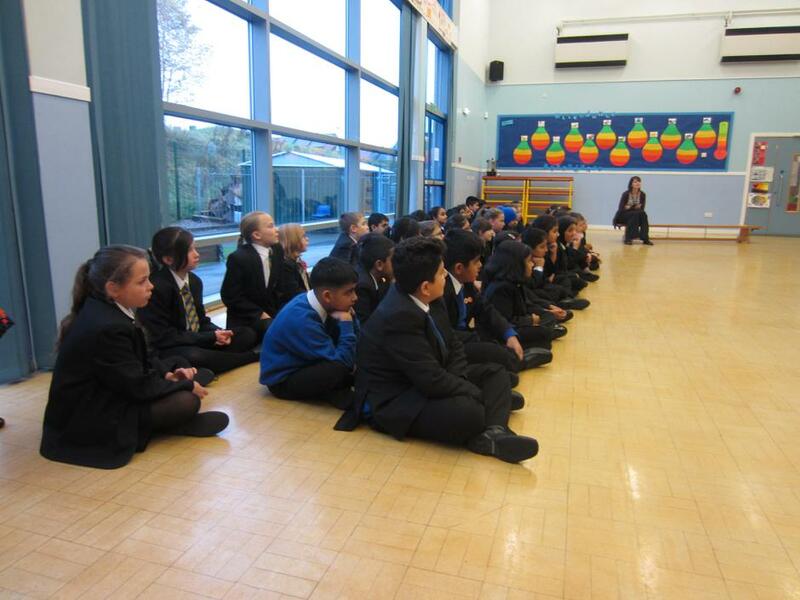 Following the scenes, the actors did a hot seating exercise giving the children an opportunity to consider the thoughts, feelings and motivations of the children involved. On Monday, we also did PE. In PE we are doing hockey. This week, Tom (our PE teacher) taught us how to use space on the pitch, by giving us two different pitches to play on, one was narrow and one was much wider. 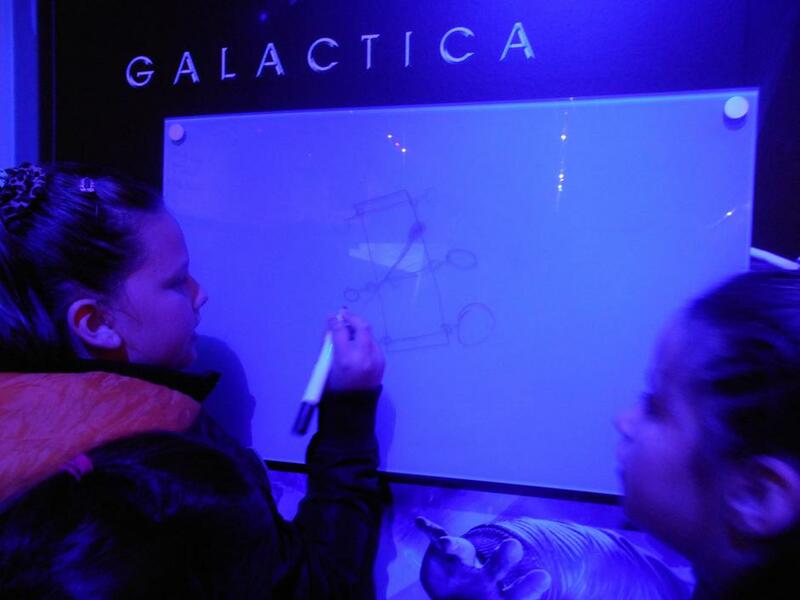 That taught us about awareness of space and teamwork. 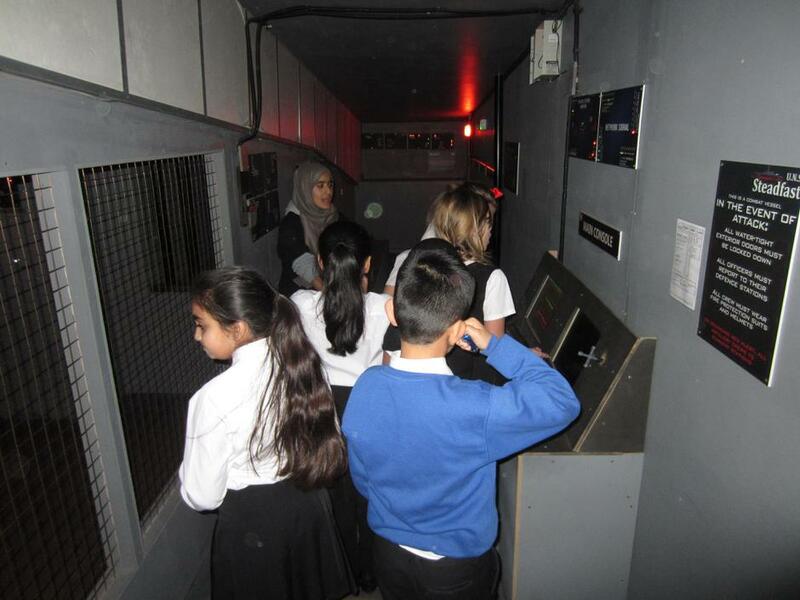 We began our new topic - Tomorrow's World - with a top secret spy mission. 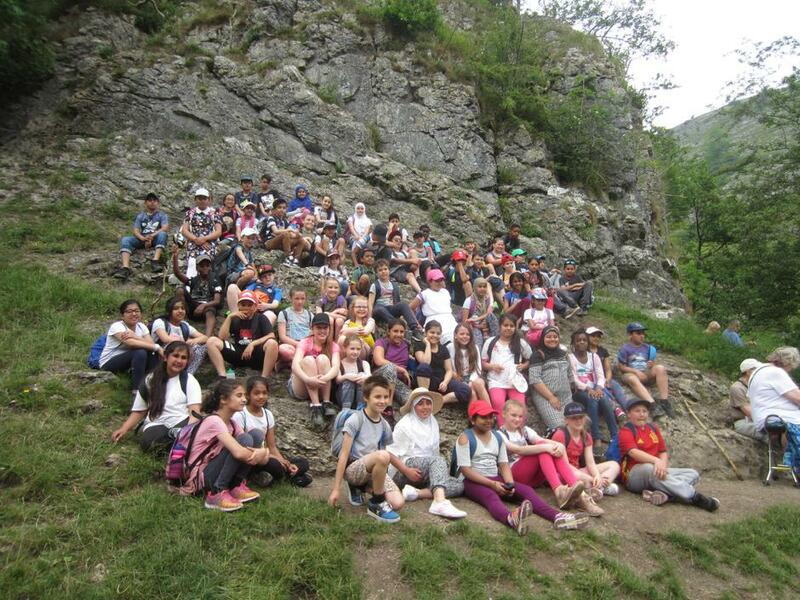 On this trip the children were presented with a range of challenges which required a great deal of patience, team work and problem solving skills. A number of photos from this trip are included in the slideshow below. 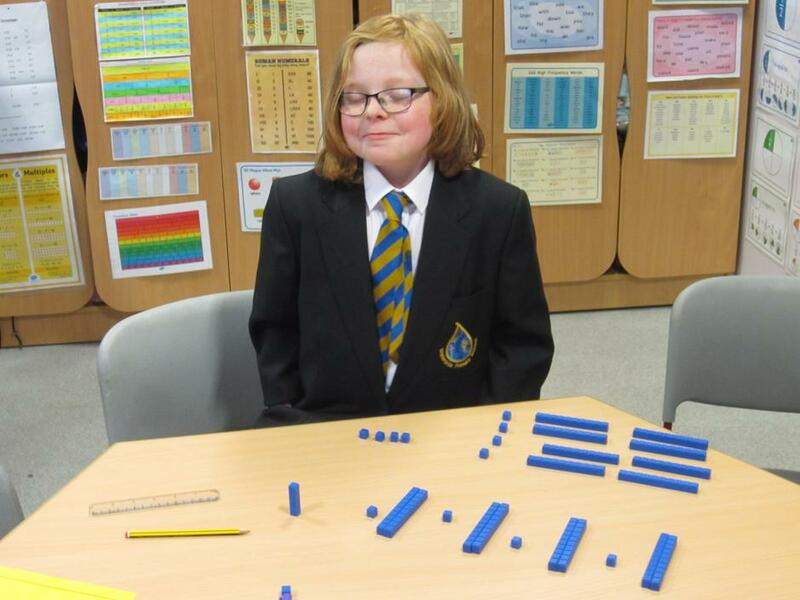 This year the school have invested in a wide range of mathematical resources. These have been used weekly during maths lessons to give the children the opportunity to explore new concepts with concrete items. Some of this learning is included in the pictures below. 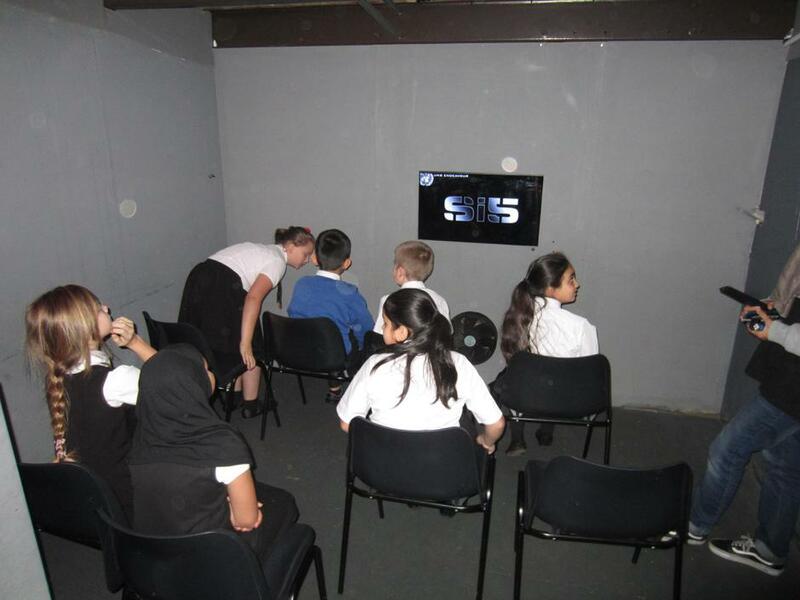 The slideshow below shows a number of highlights from our Autumn 1 topic - 'A Child's War'. 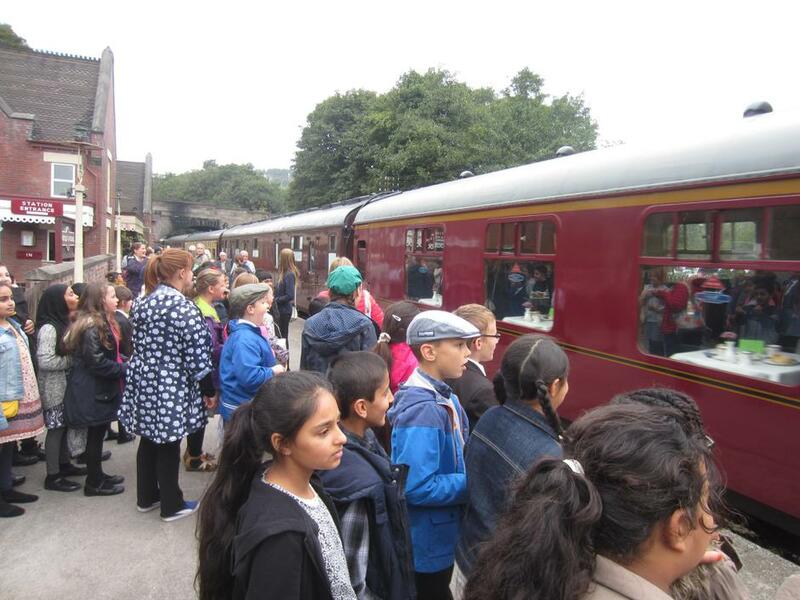 This includes pictures from our Wow day in school and our trip to Churnet Valley Railway, where the children played the part of evacuees on their journey from the city.